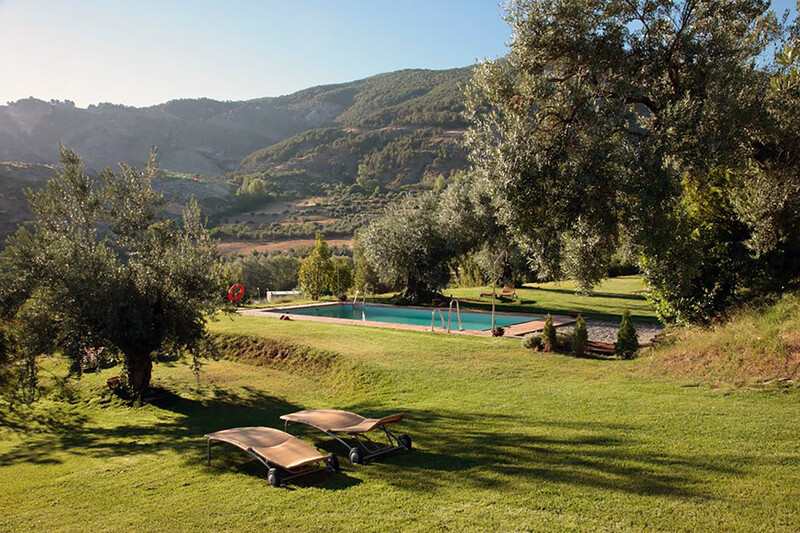 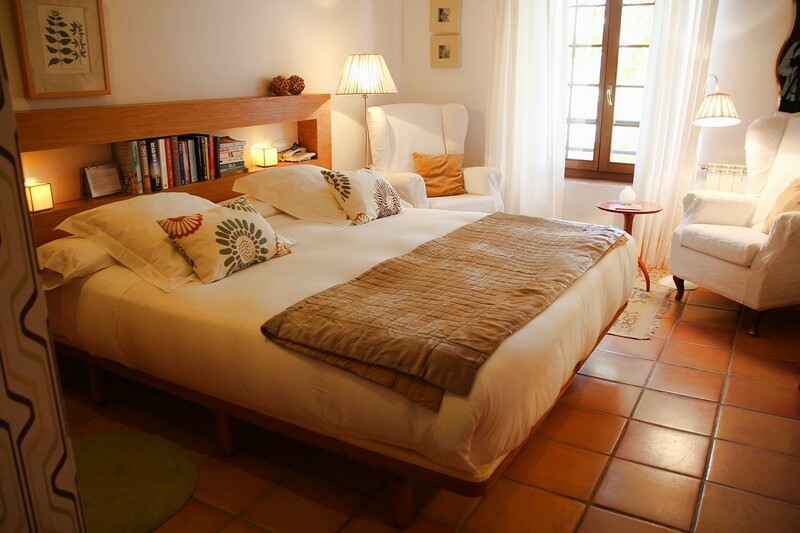 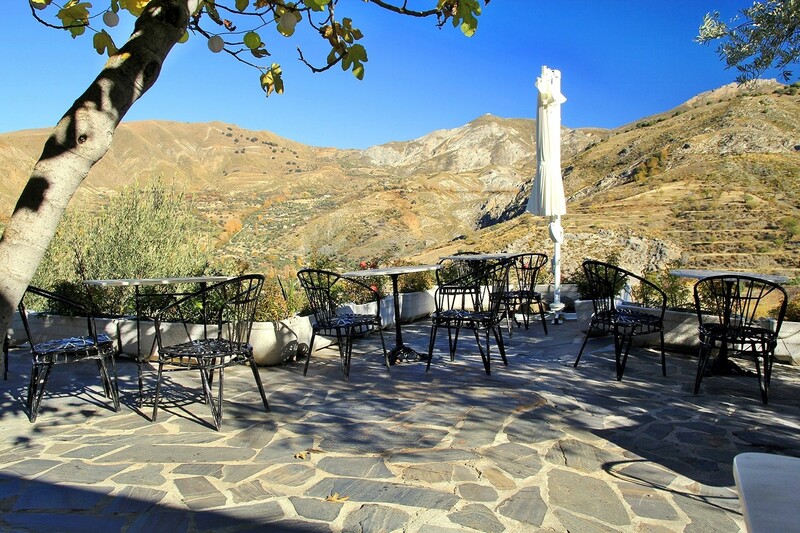 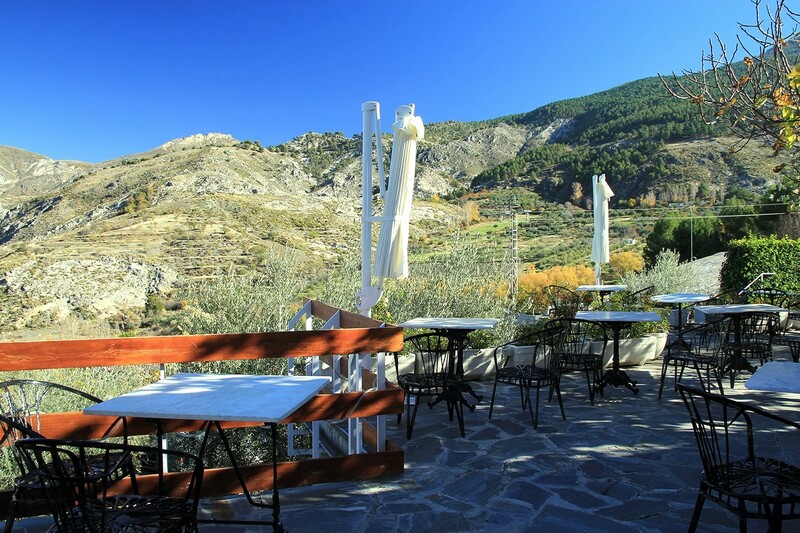 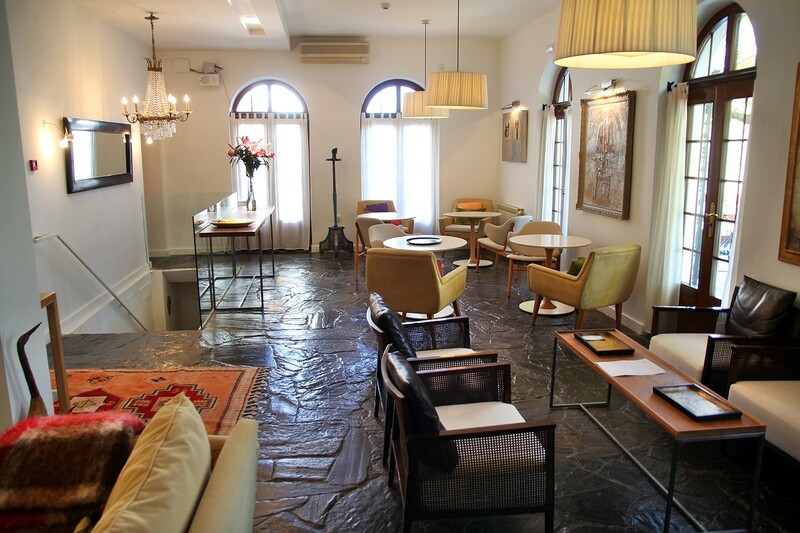 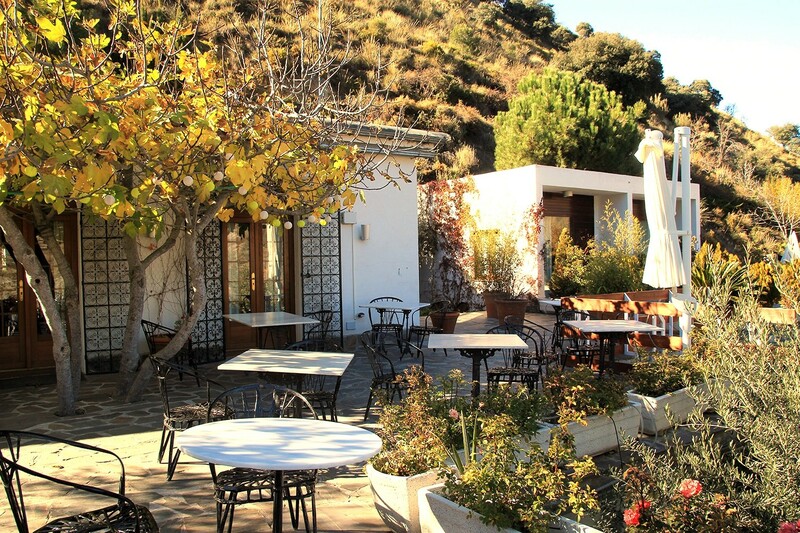 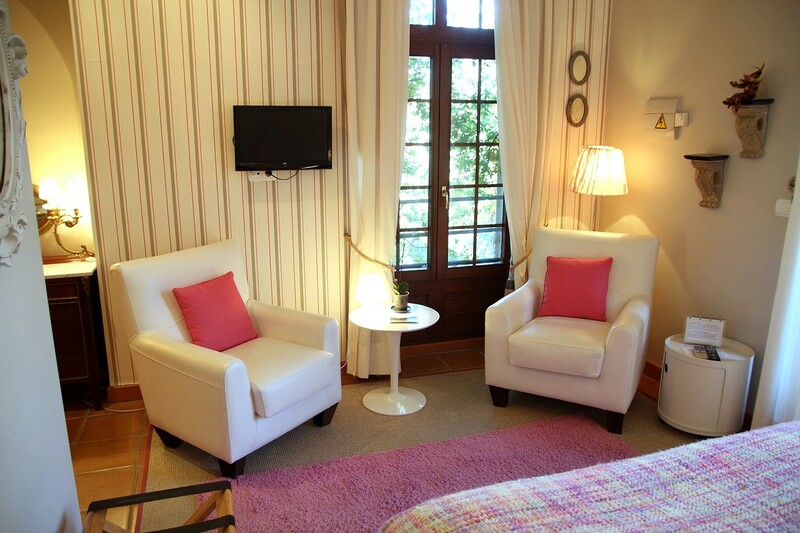 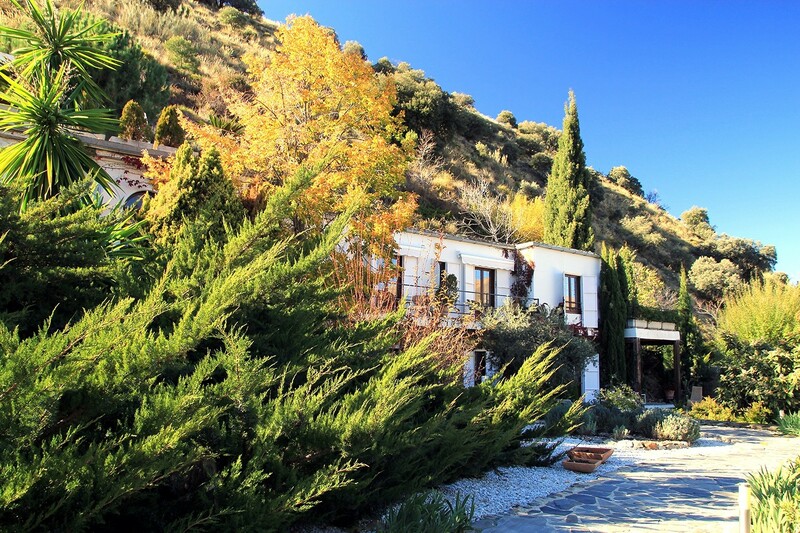 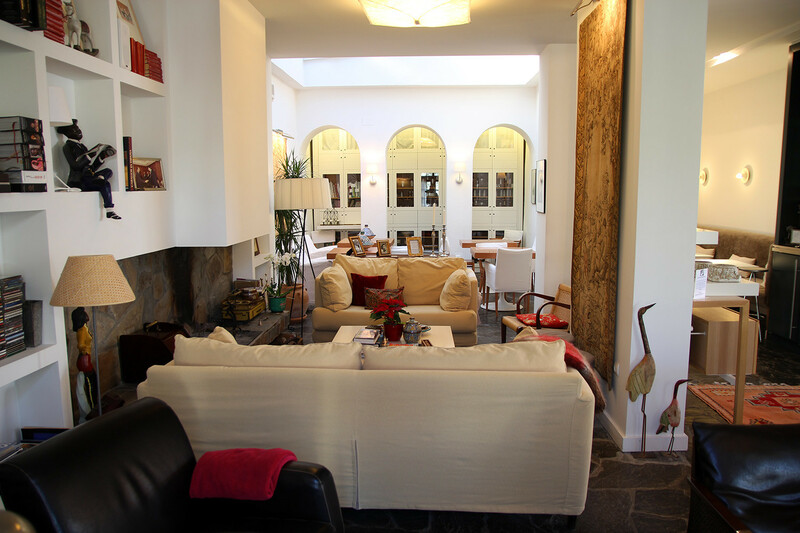 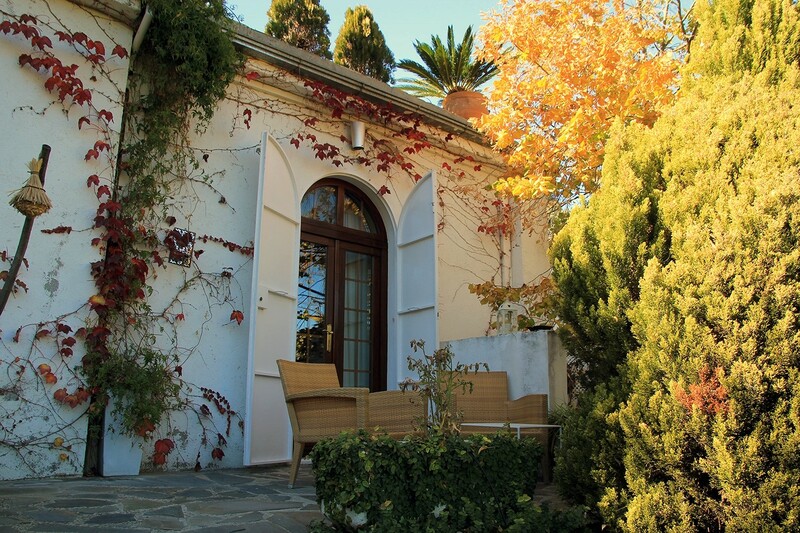 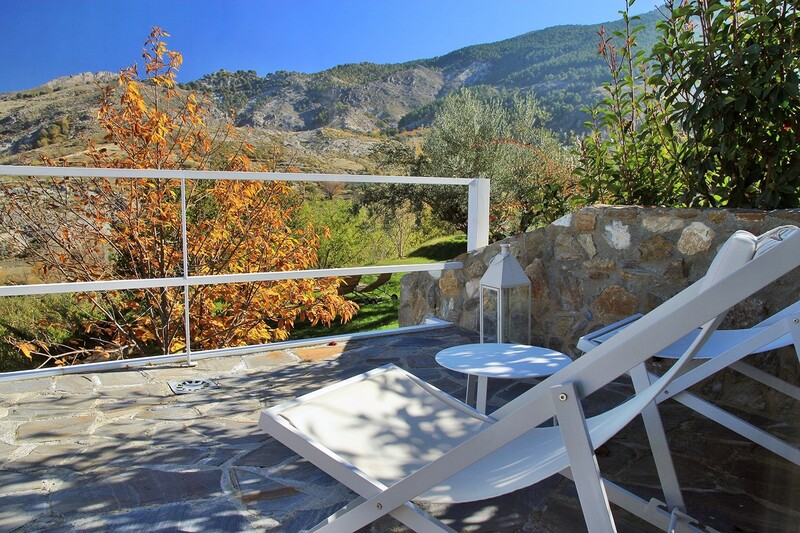 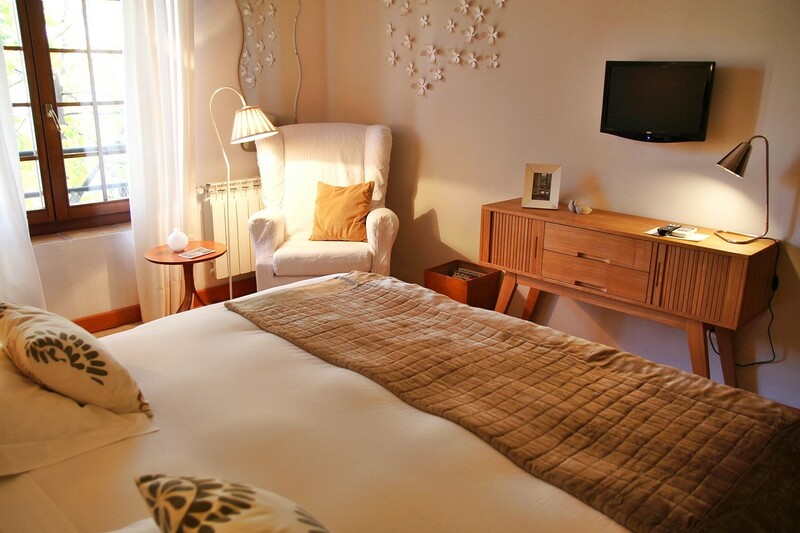 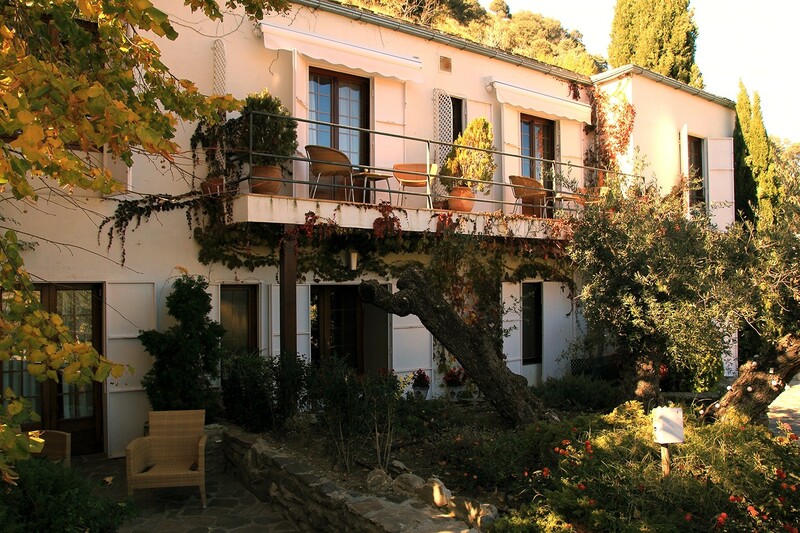 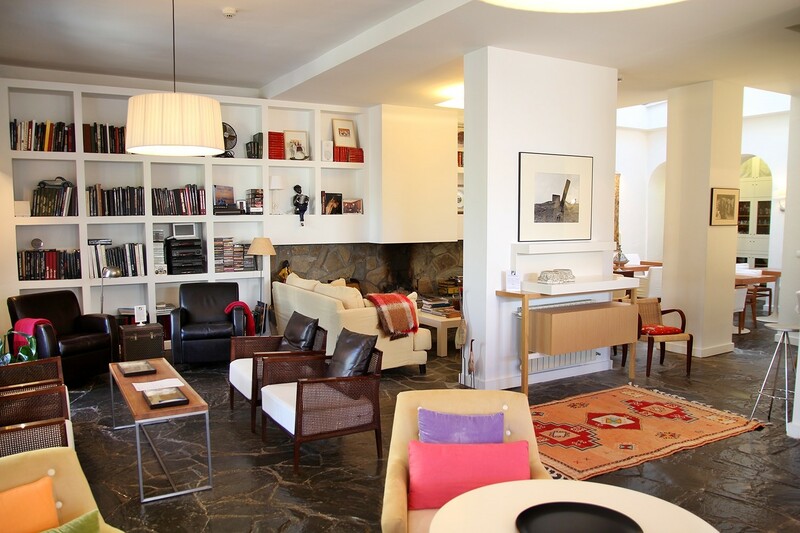 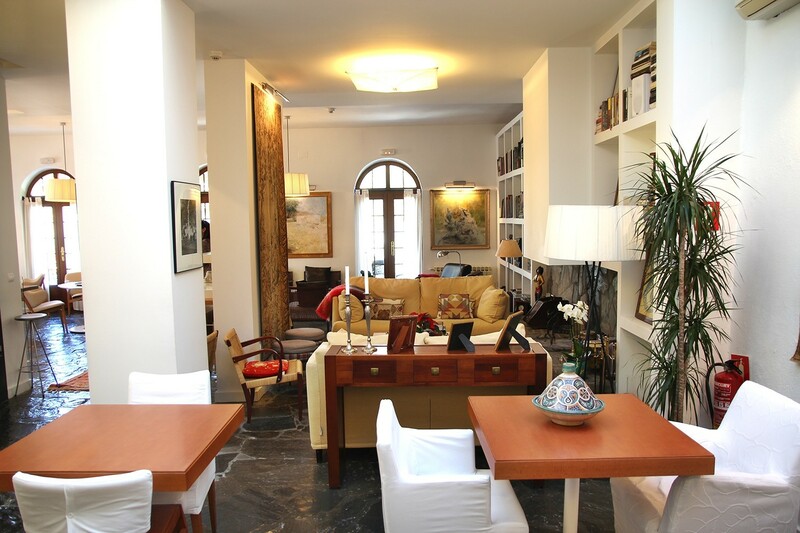 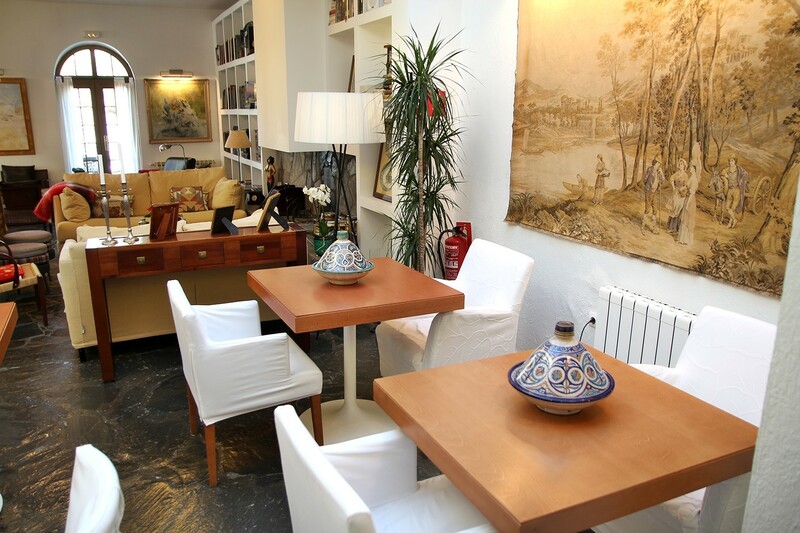 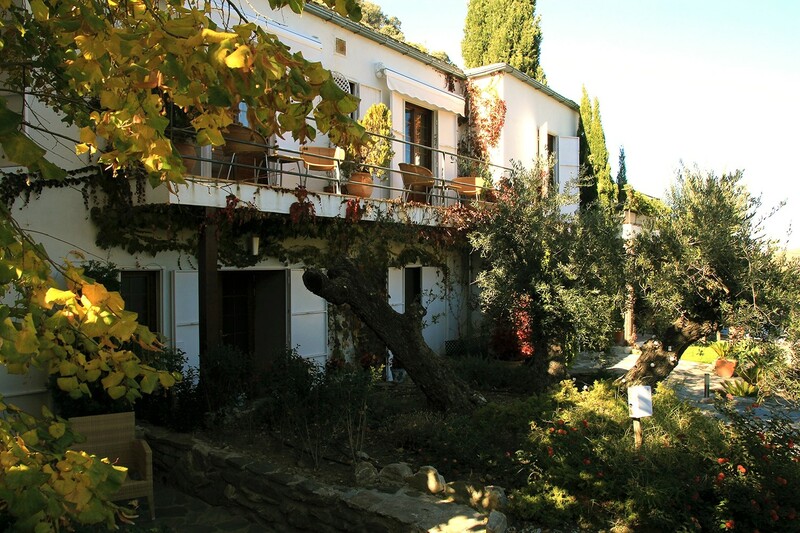 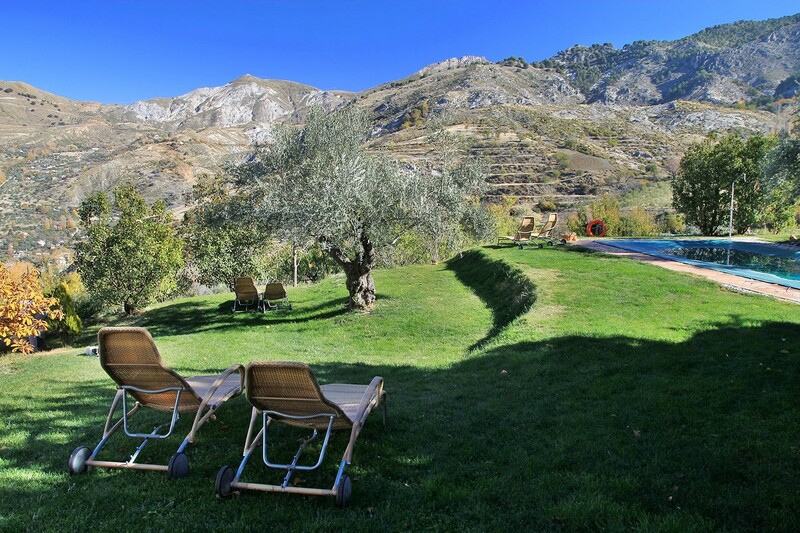 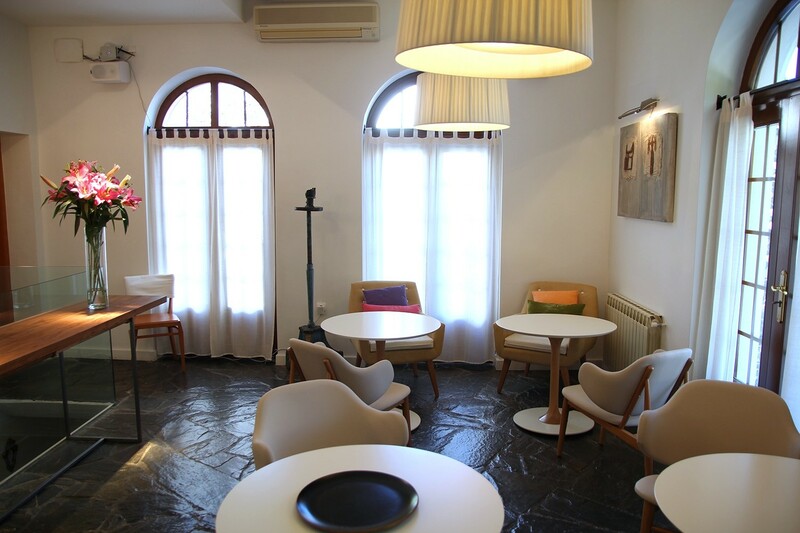 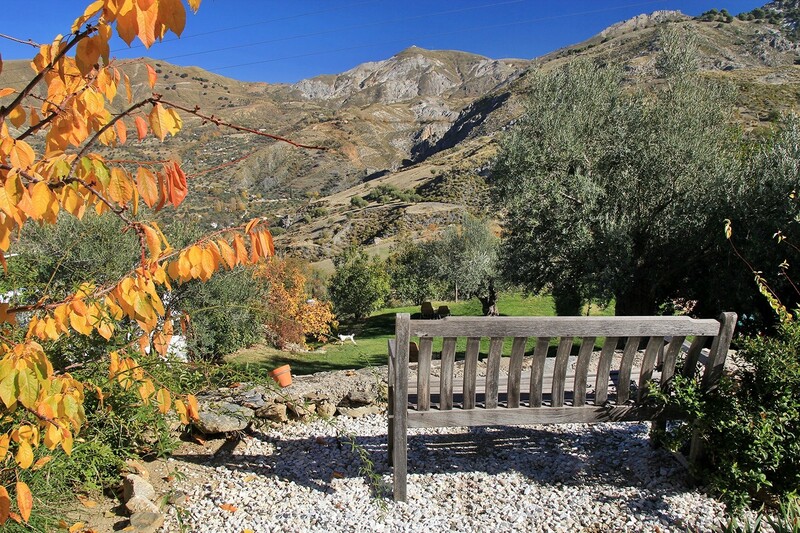 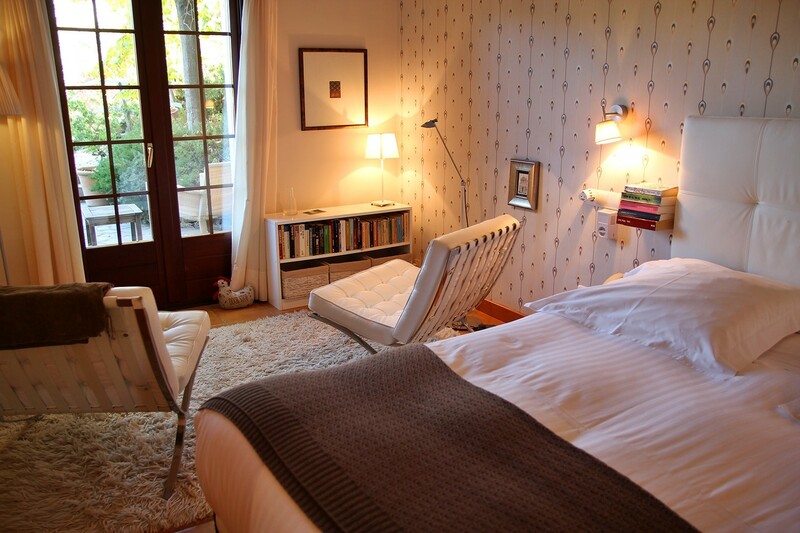 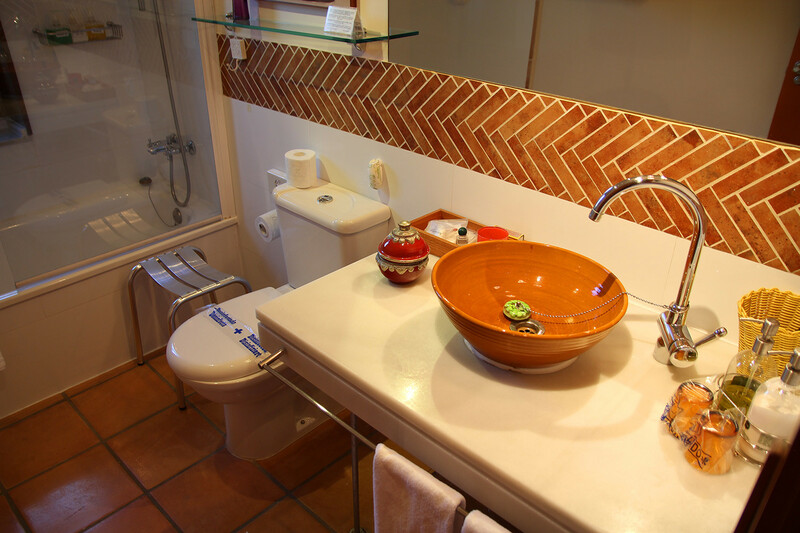 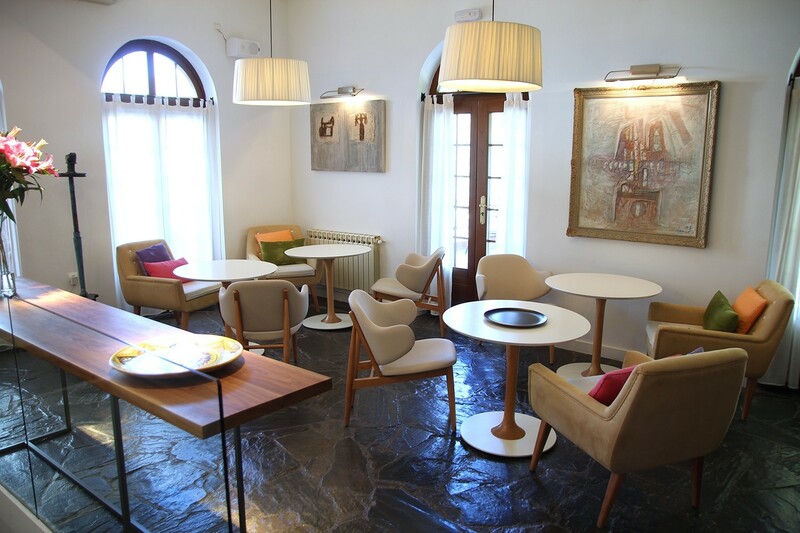 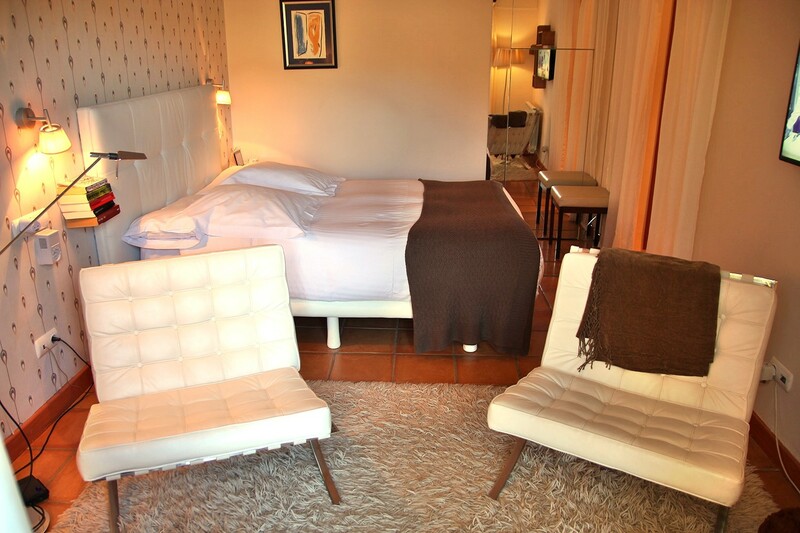 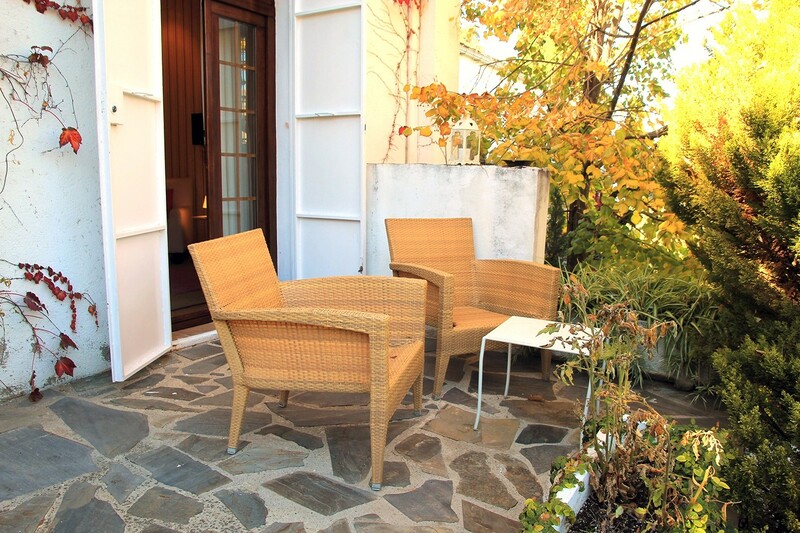 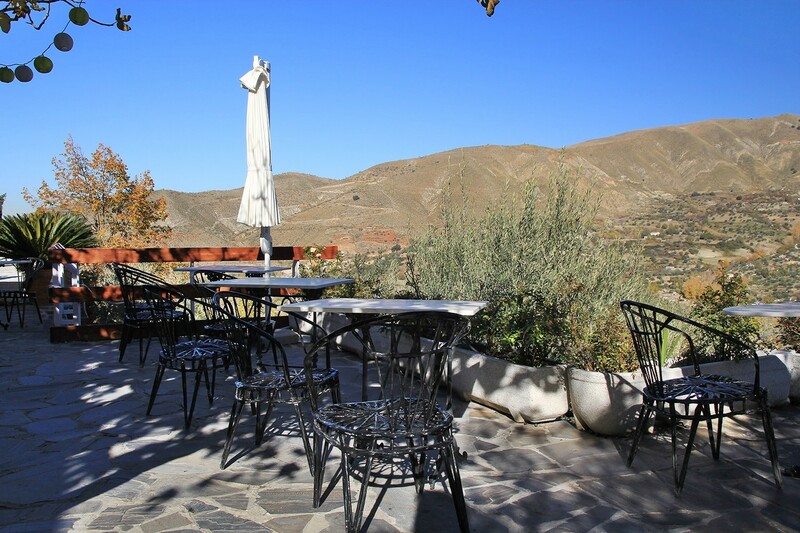 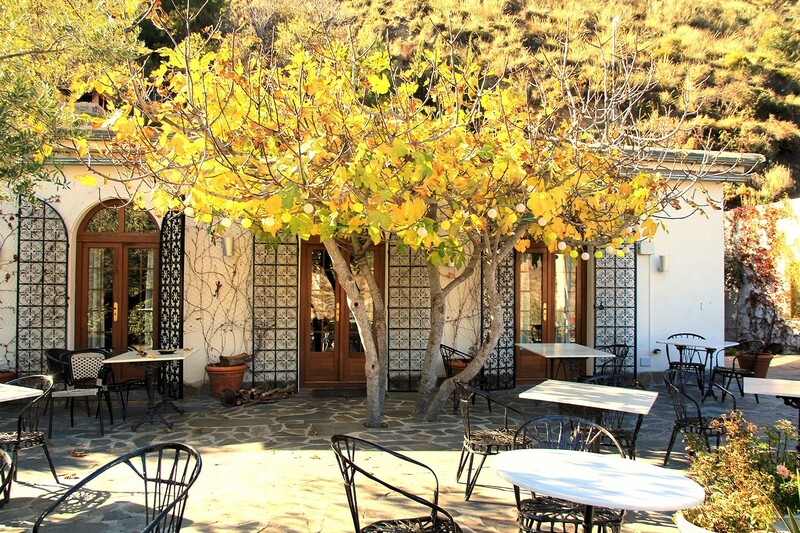 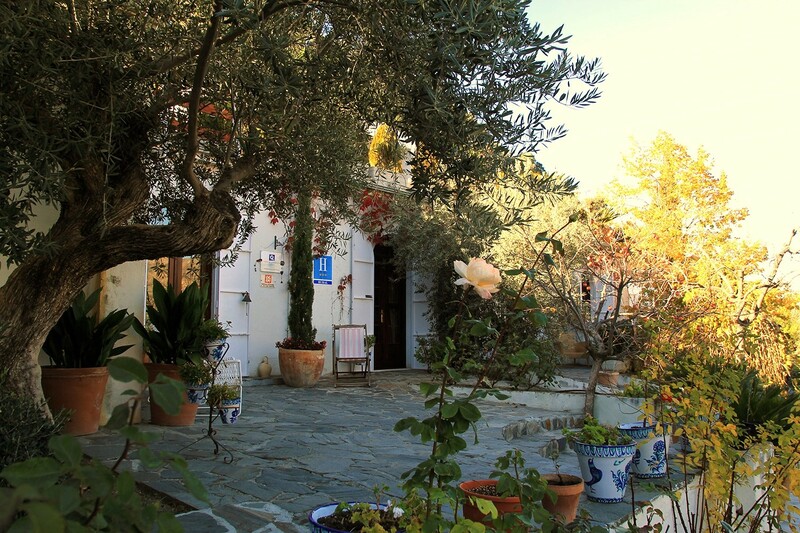 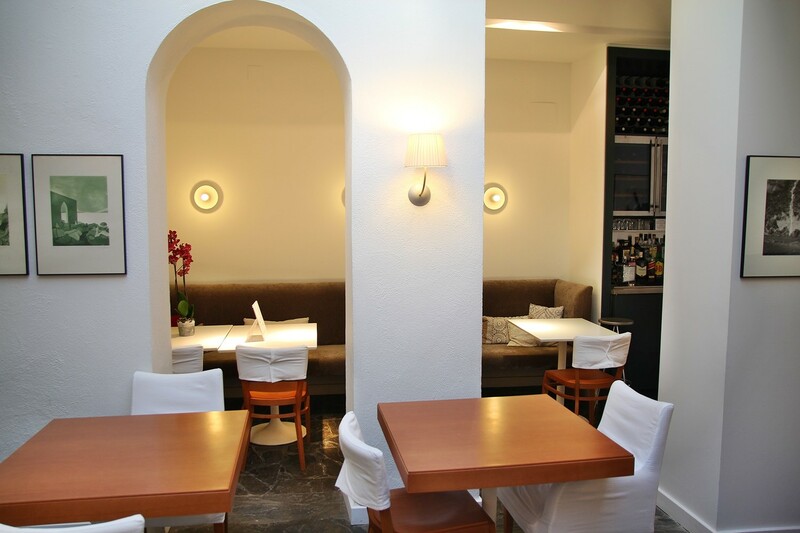 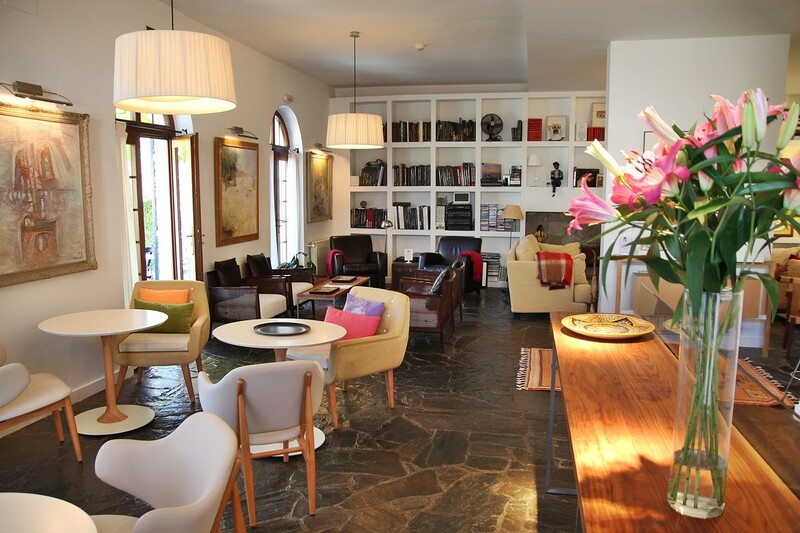 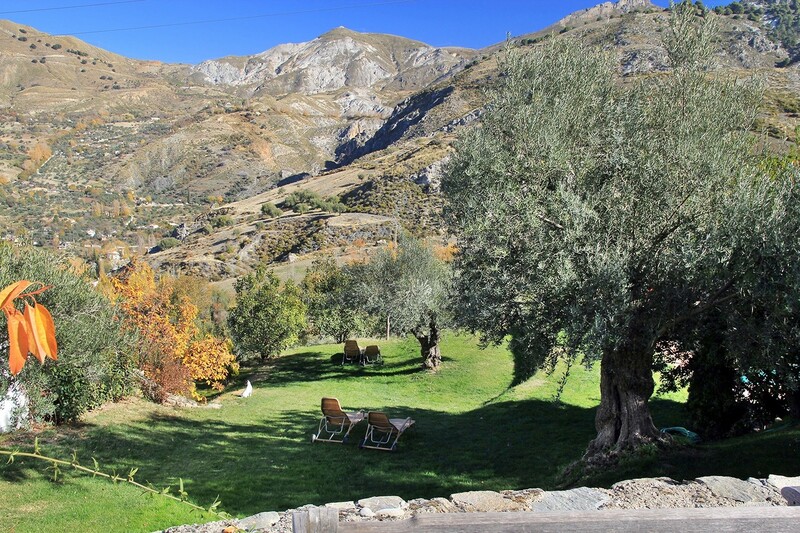 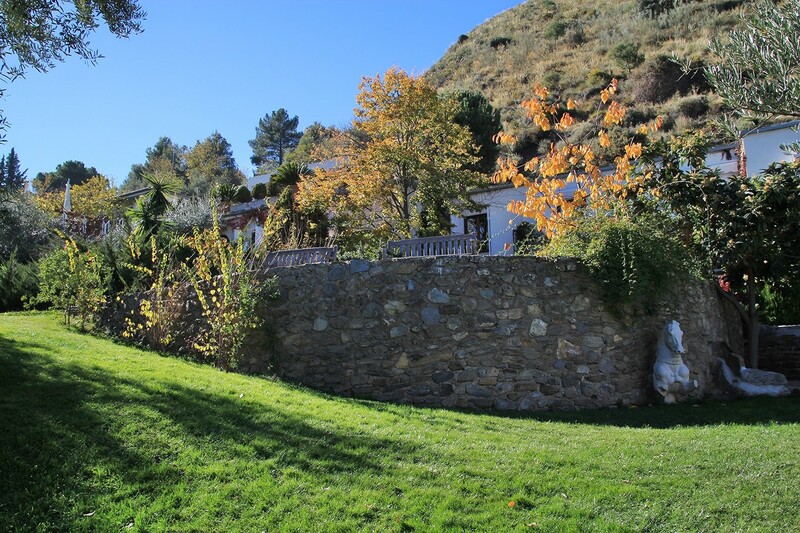 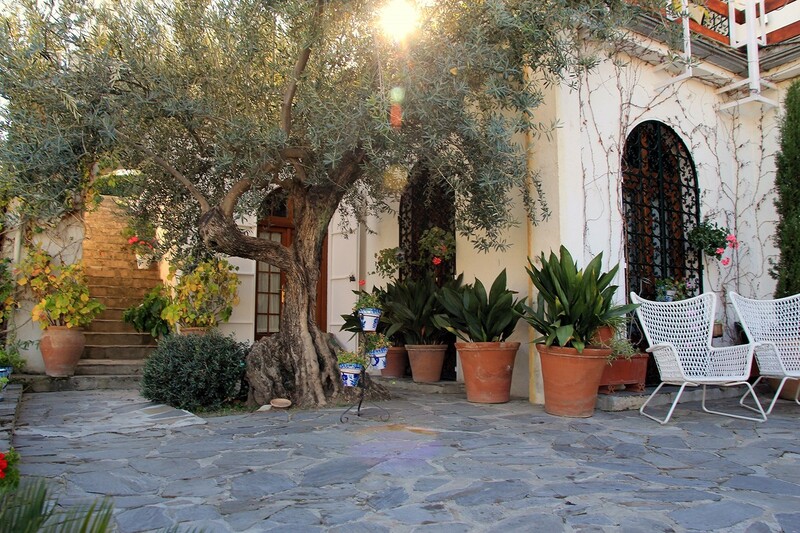 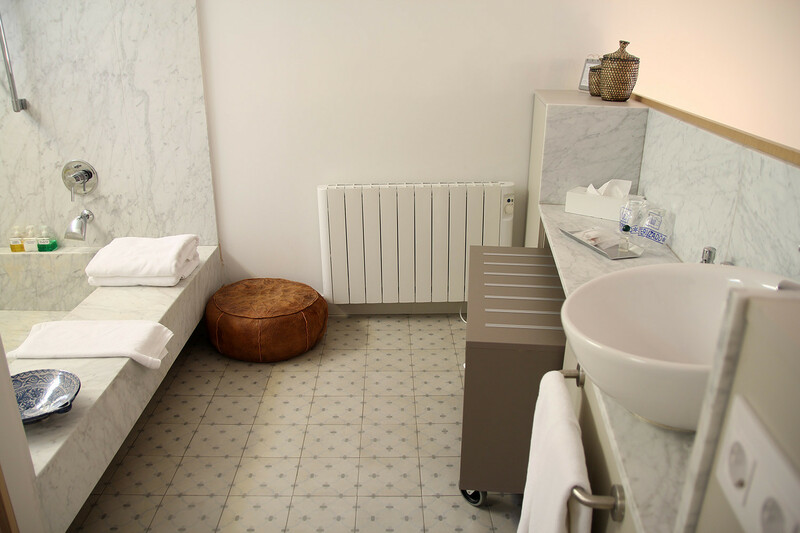 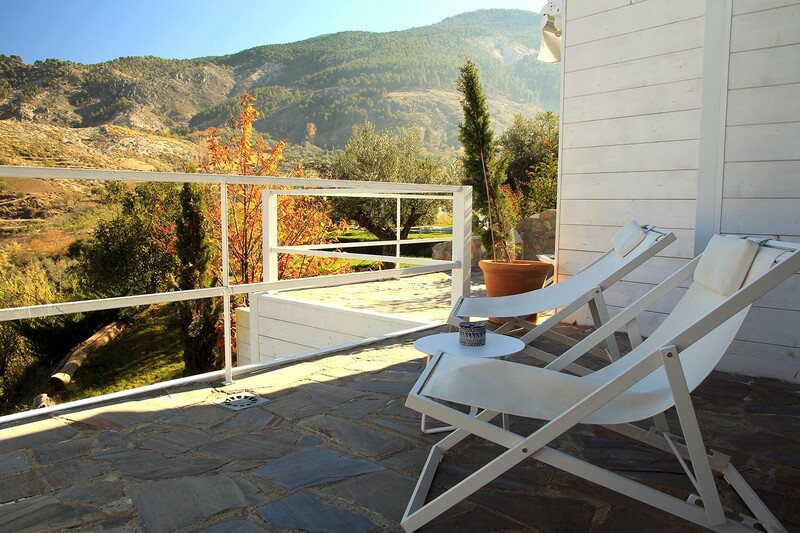 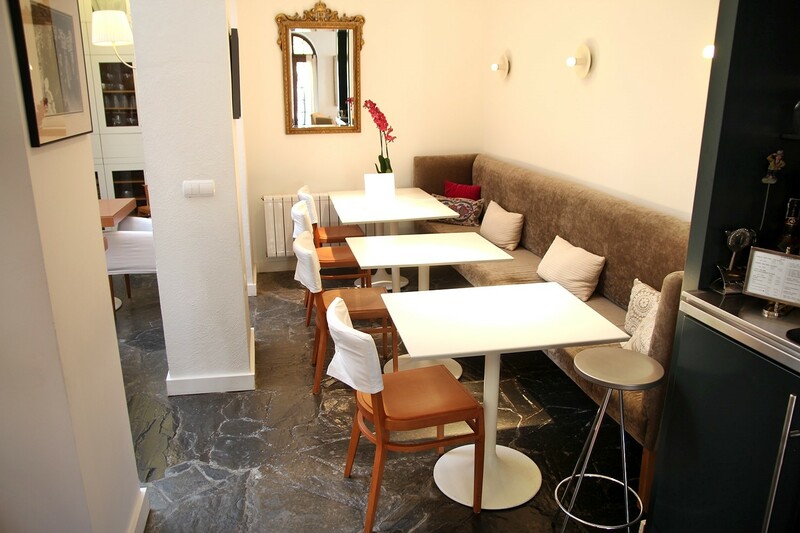 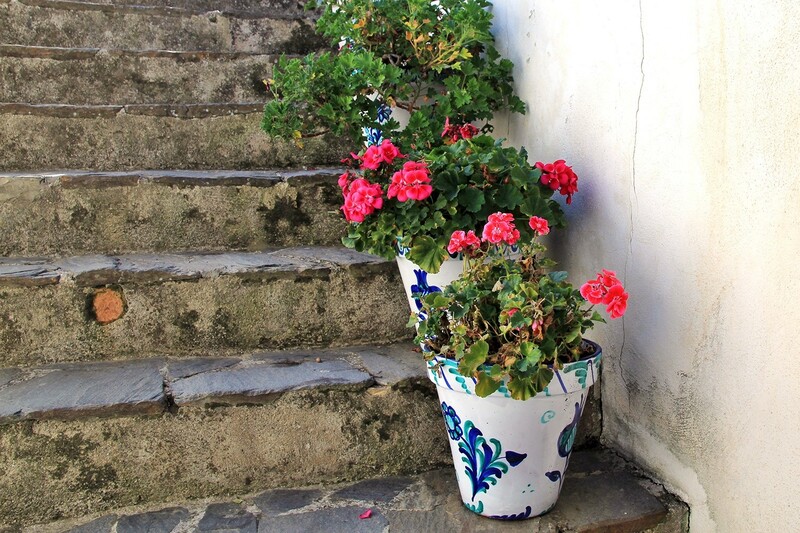 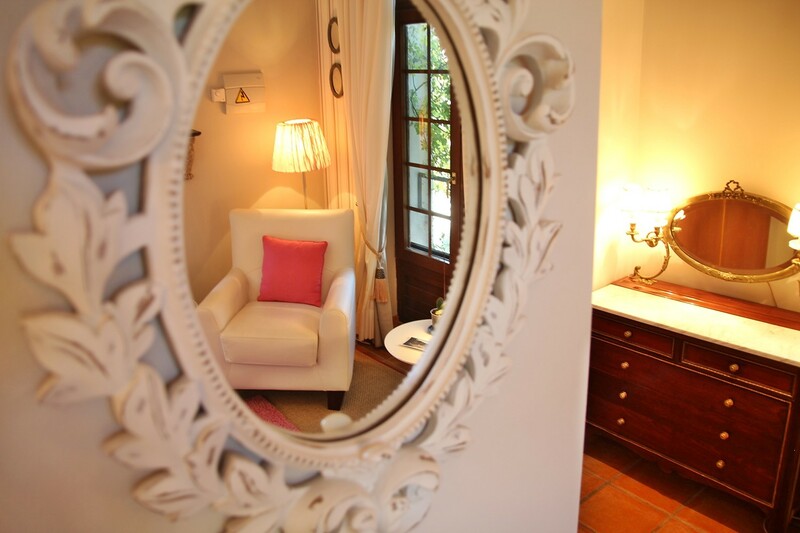 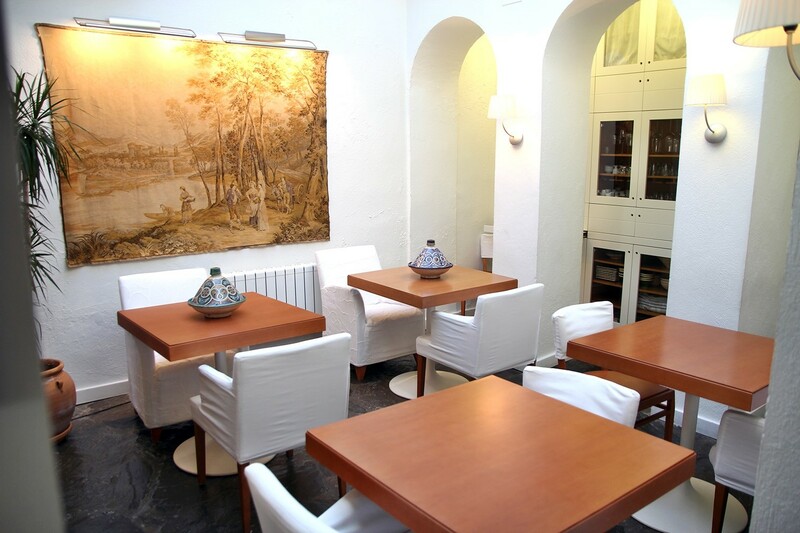 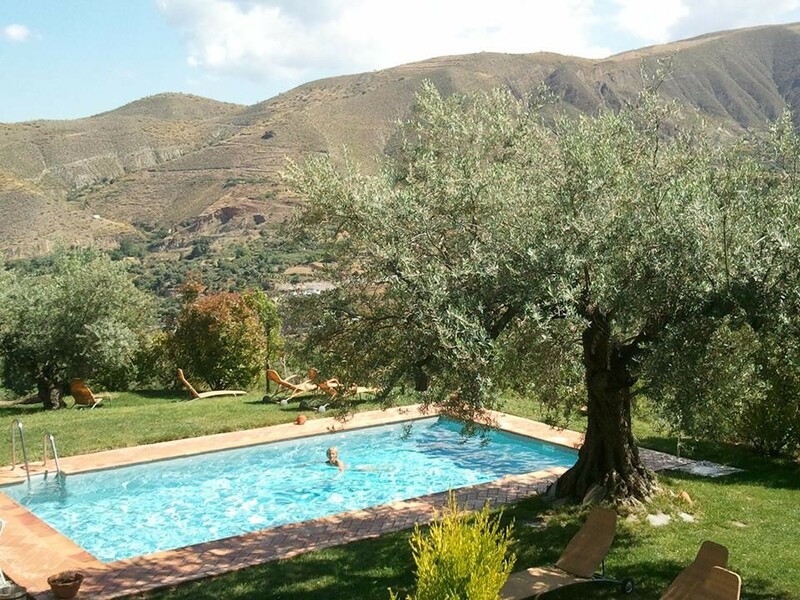 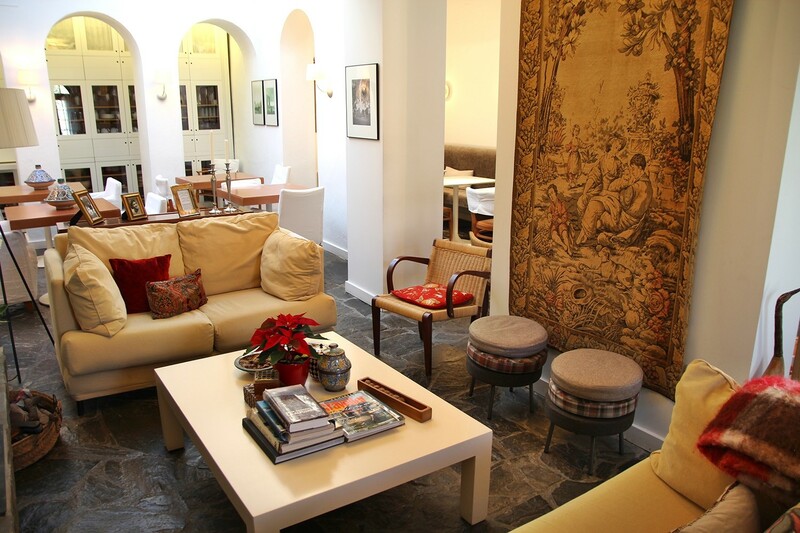 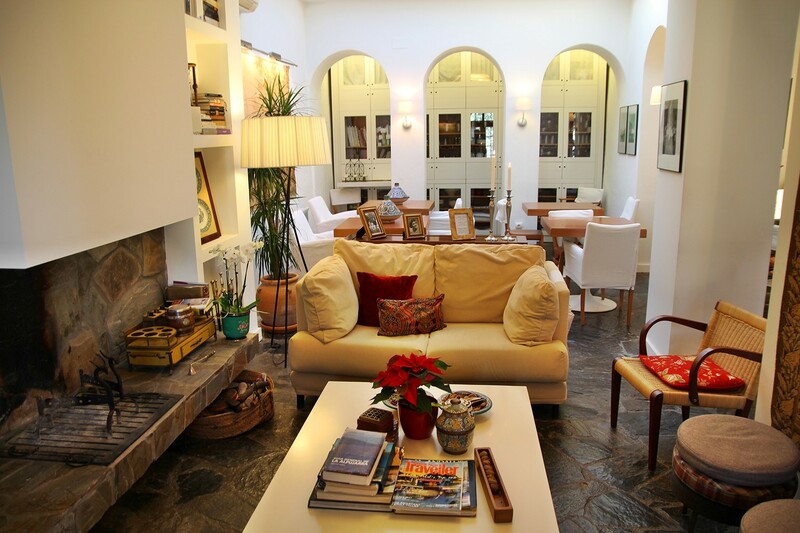 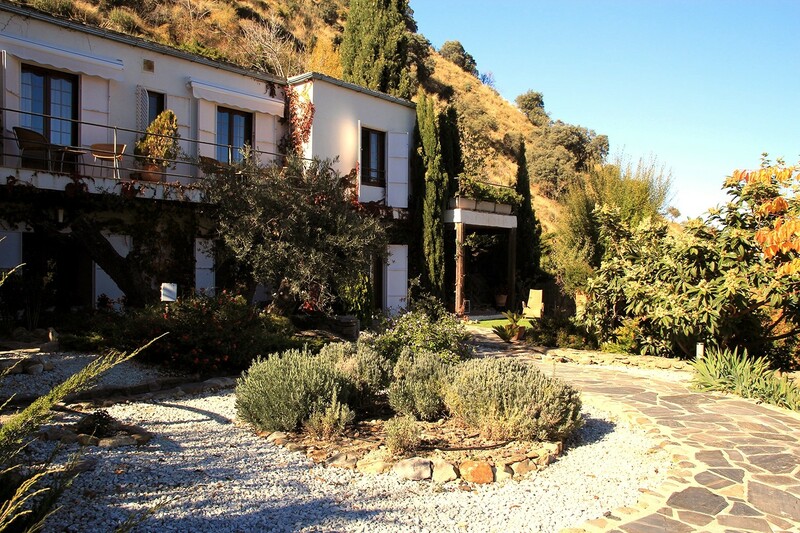 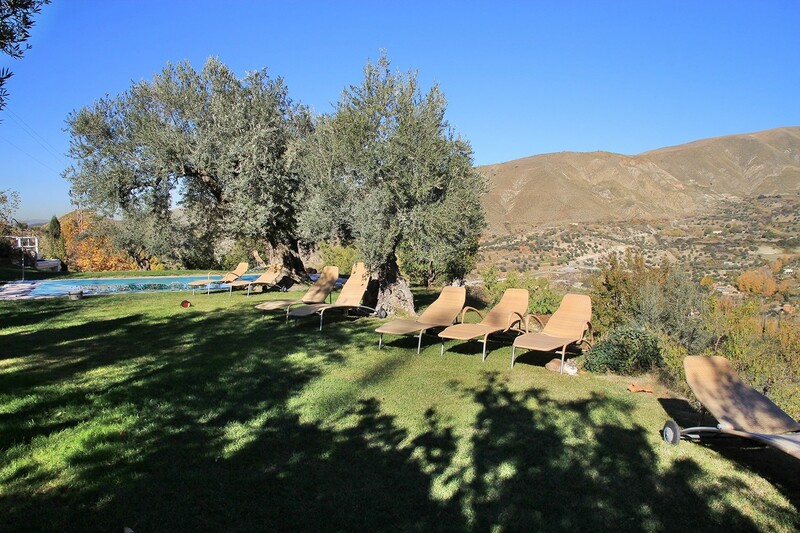 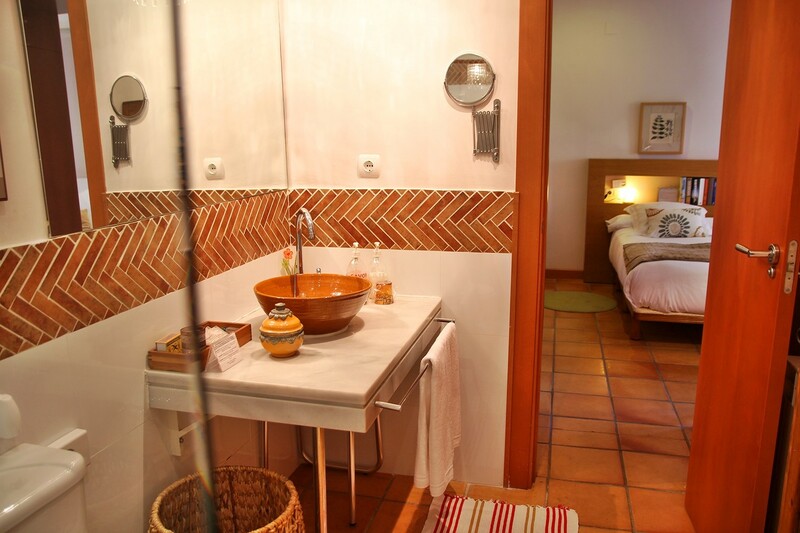 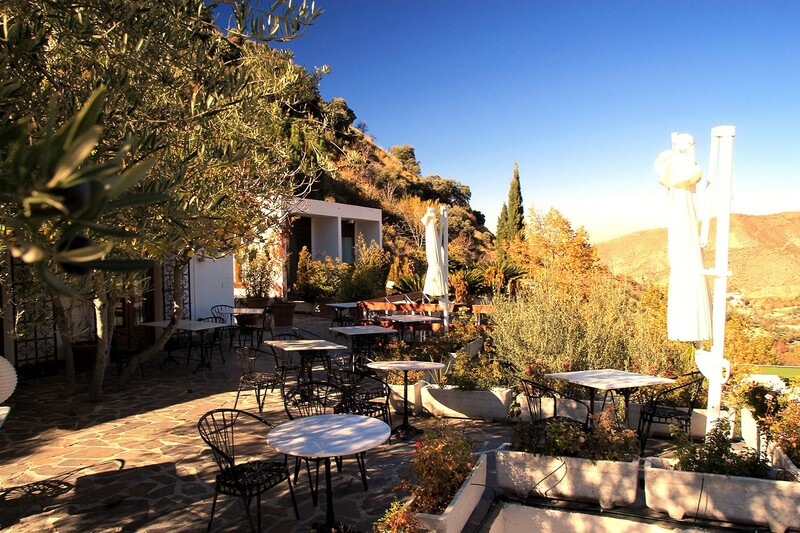 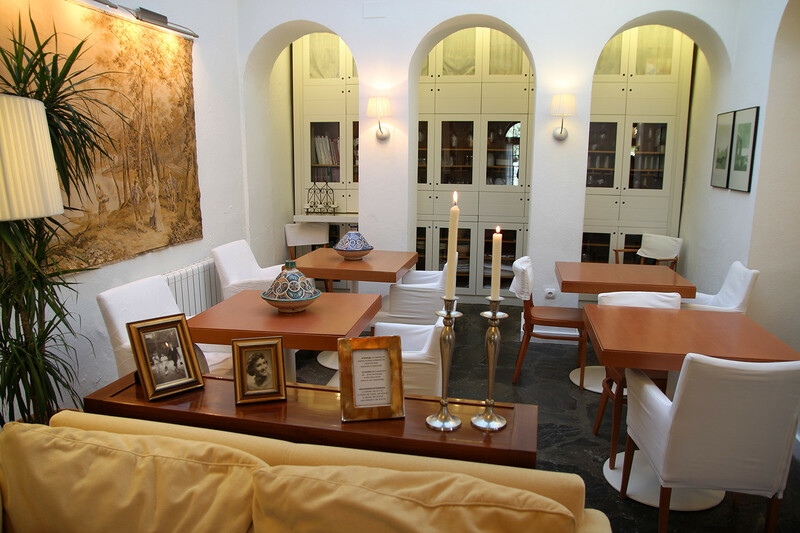 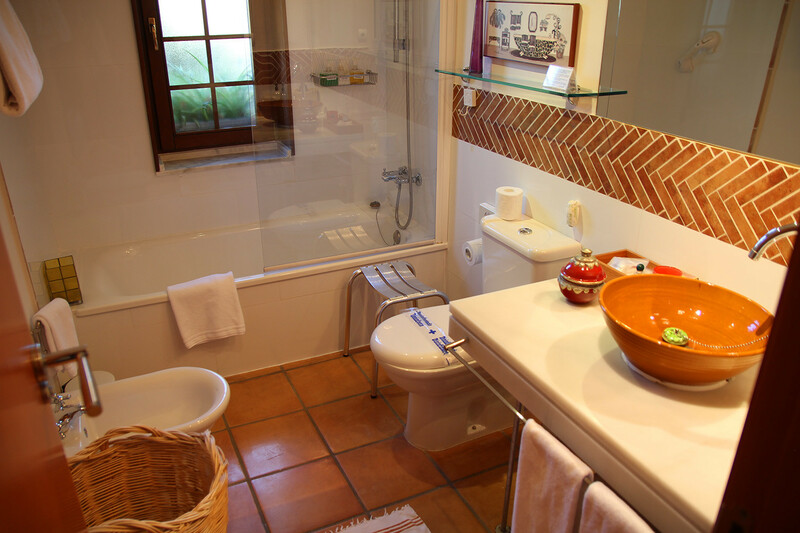 This small boutique hotel in Granada is situated in an old “cortijo”, a typical farm house in the Sierra Nevada. 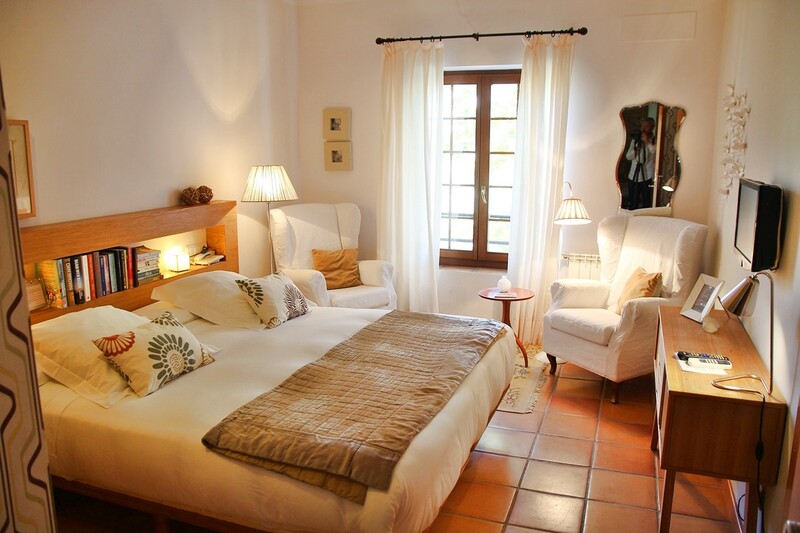 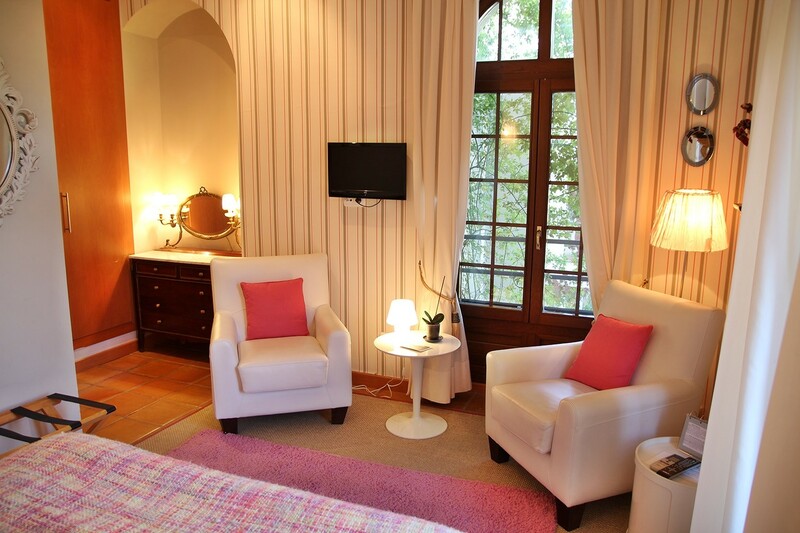 It has six superior rooms, five standard rooms with a terrace and four standard rooms. 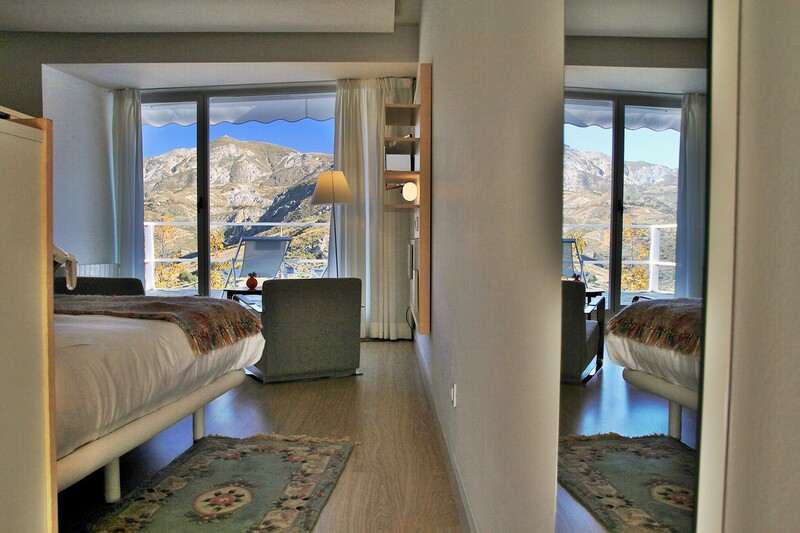 The rooms have amazing views over the National Park Sierra Nevada. 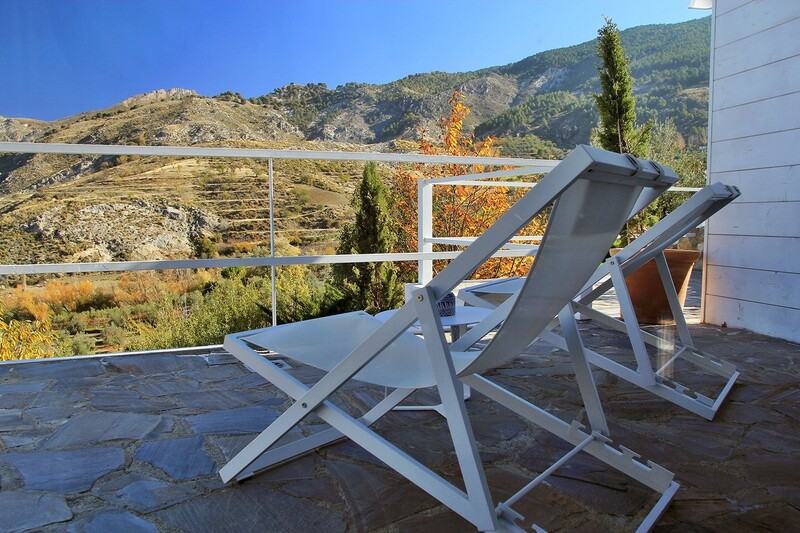 From the terraces you can admire the beautiful valley and feel the rest of this environment. 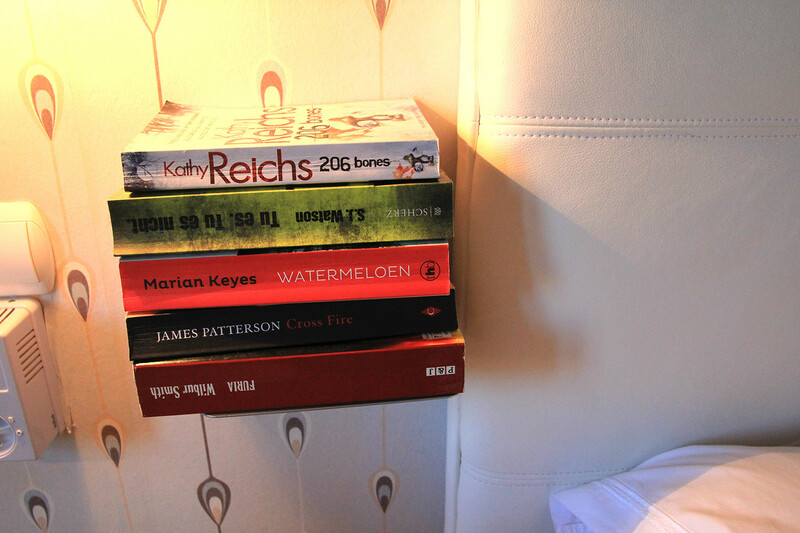 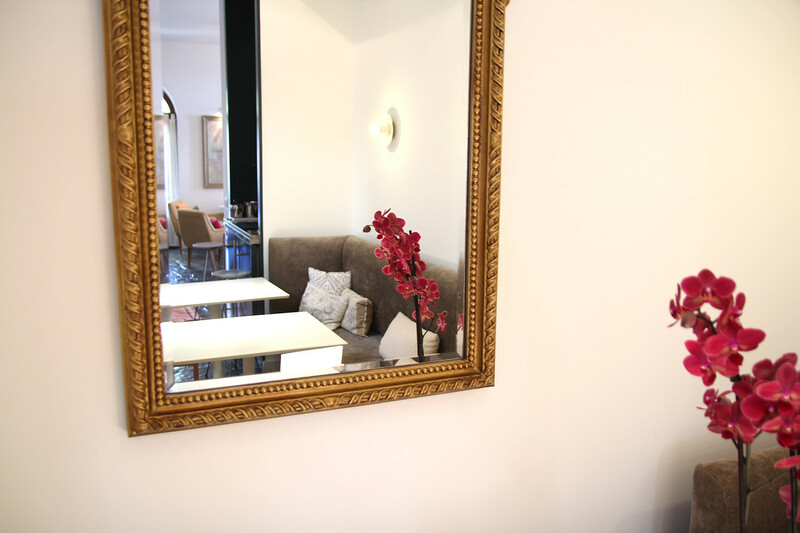 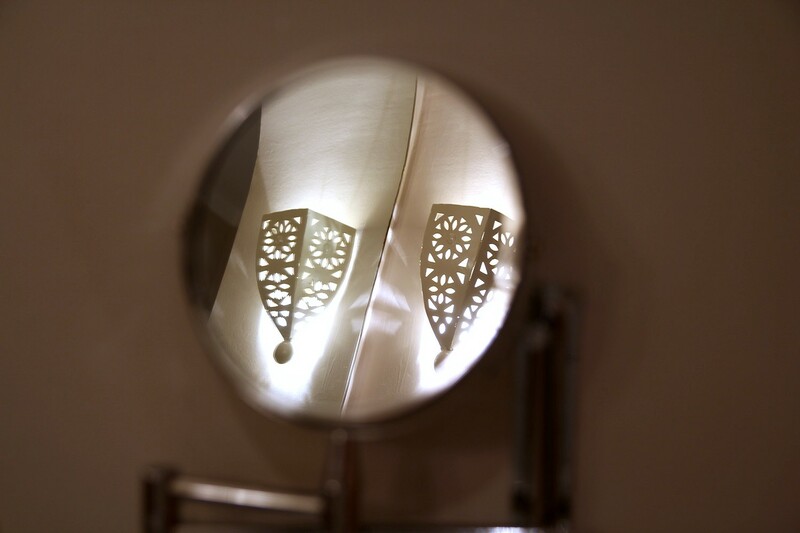 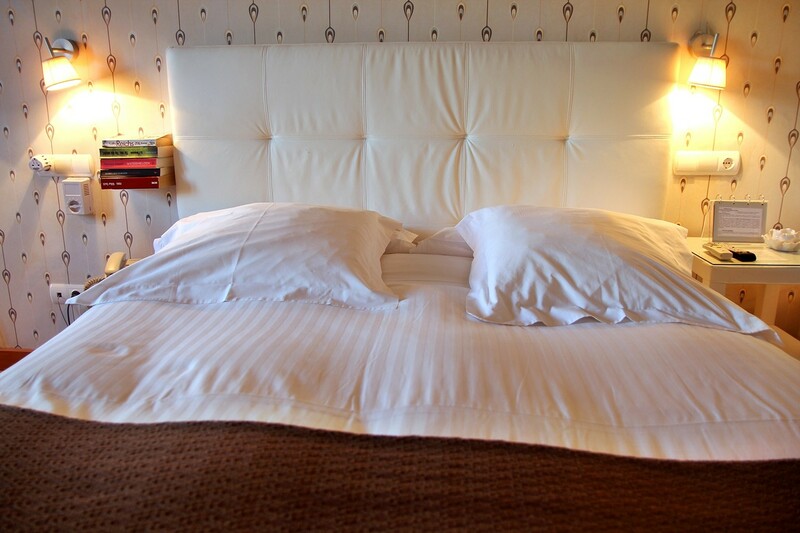 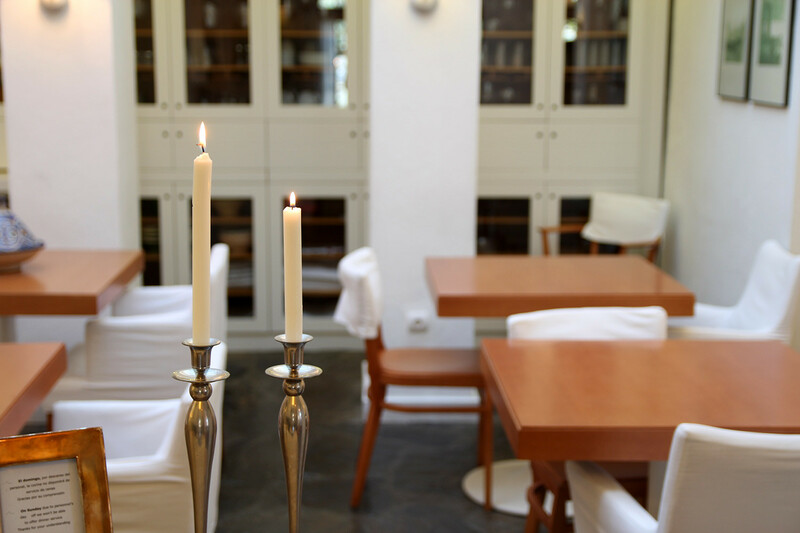 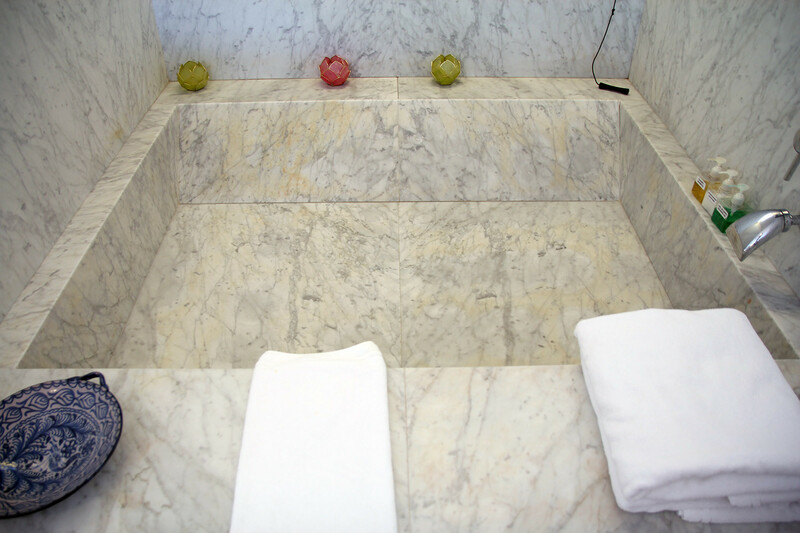 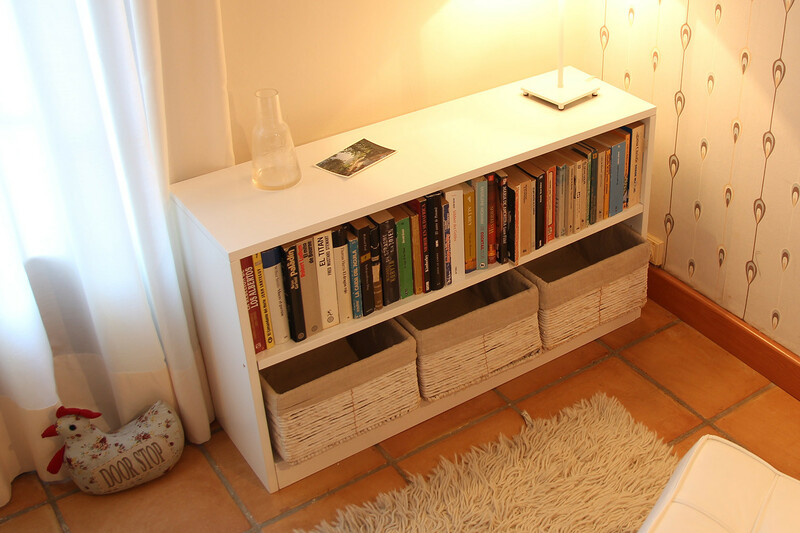 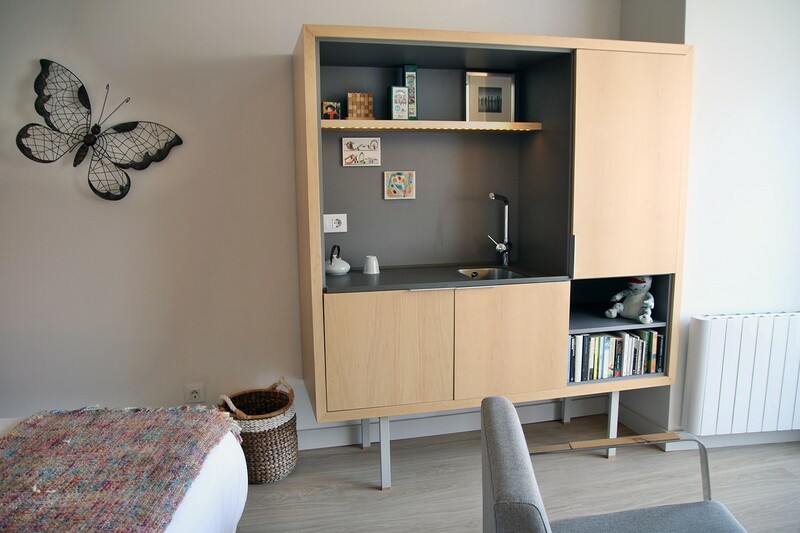 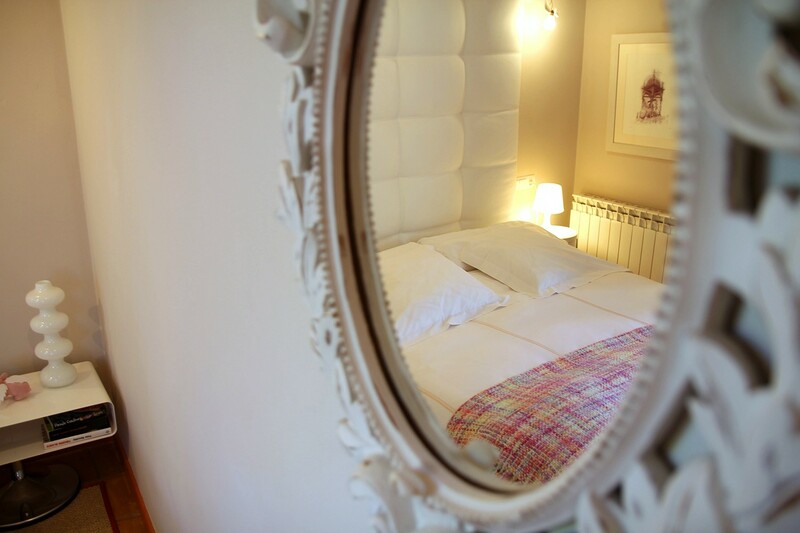 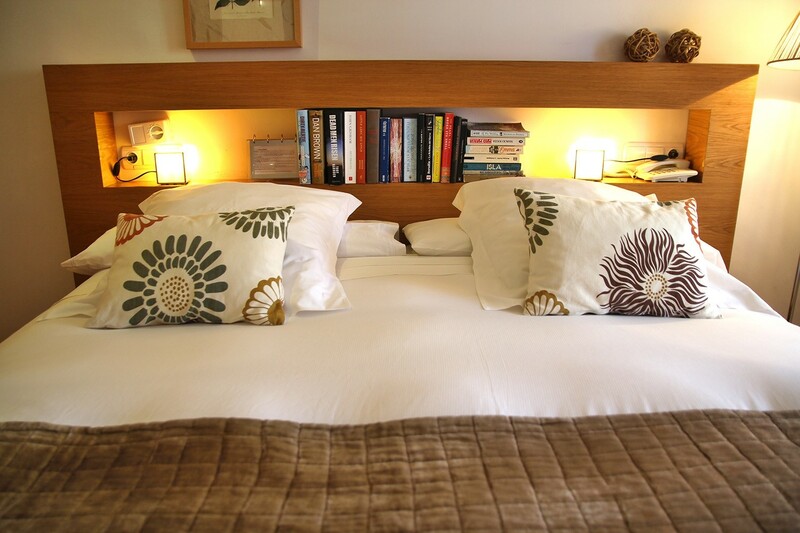 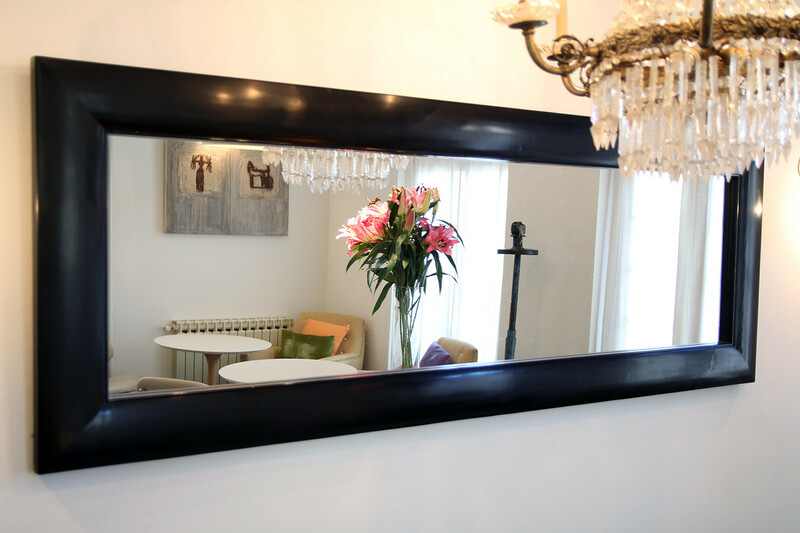 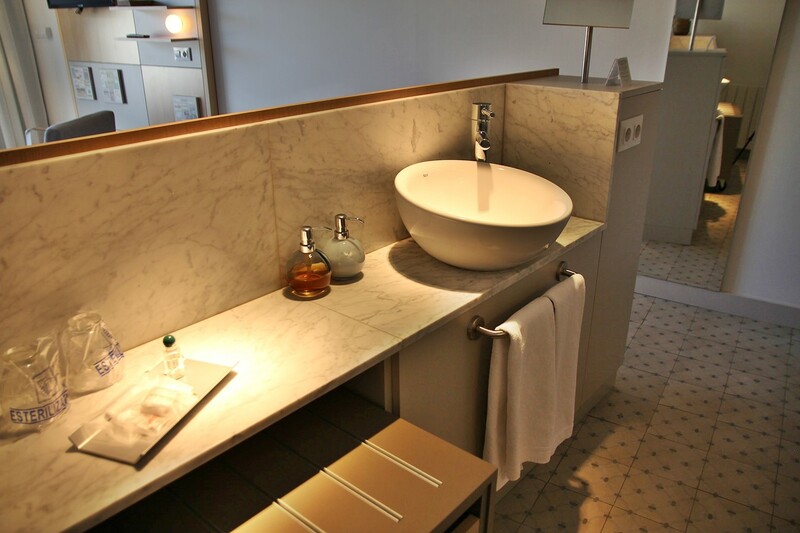 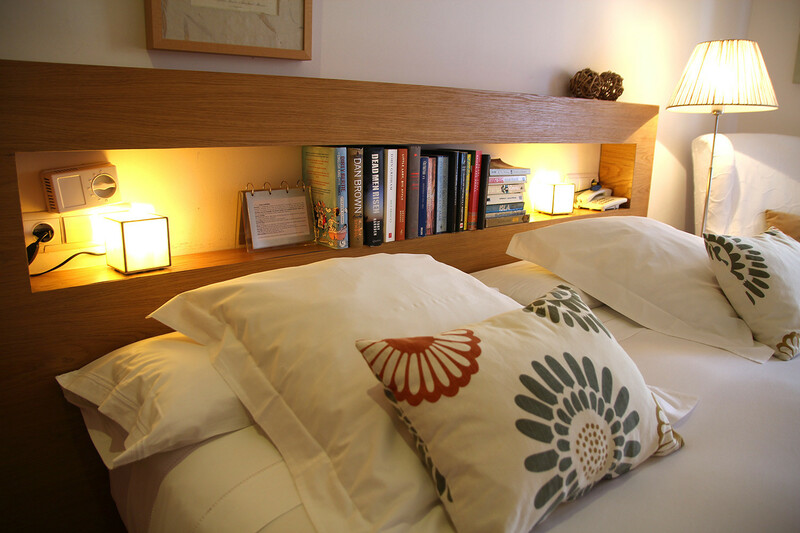 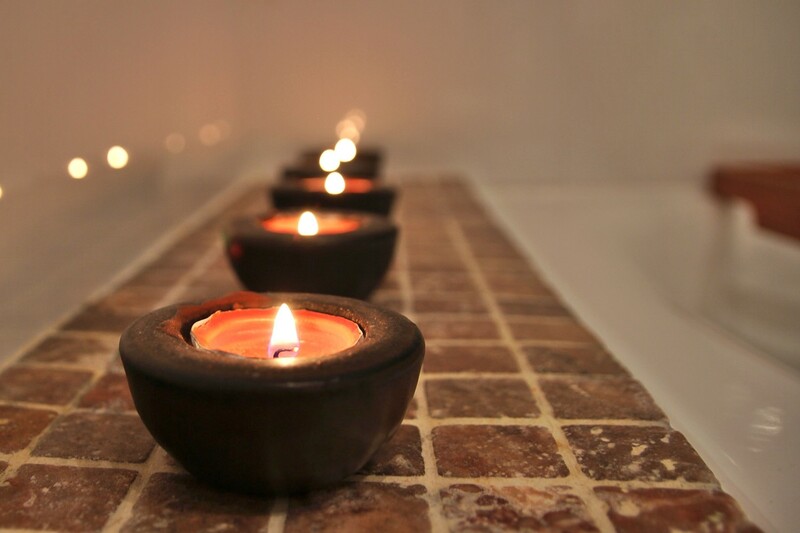 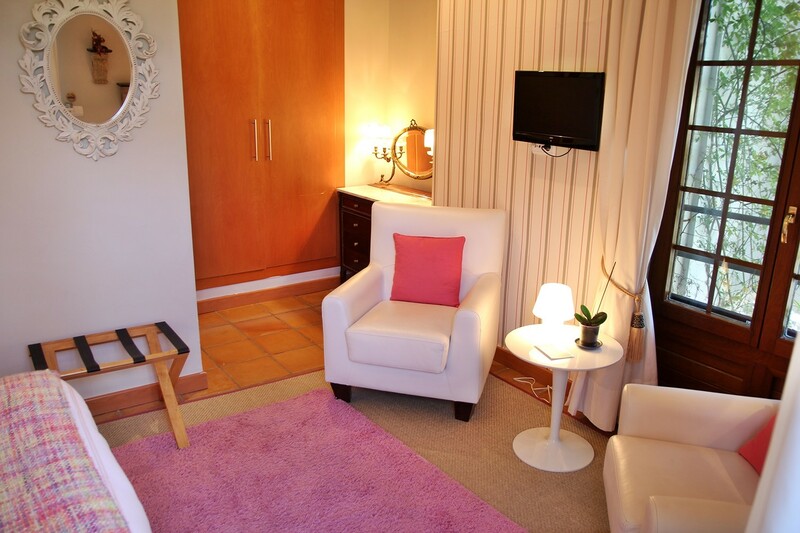 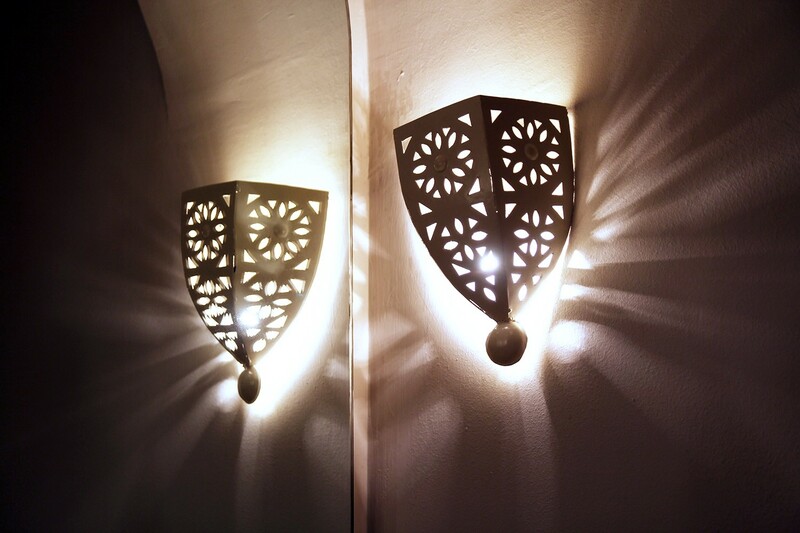 The carefully chosen details and interior design allows you to enjoy a warm and welcoming stay. 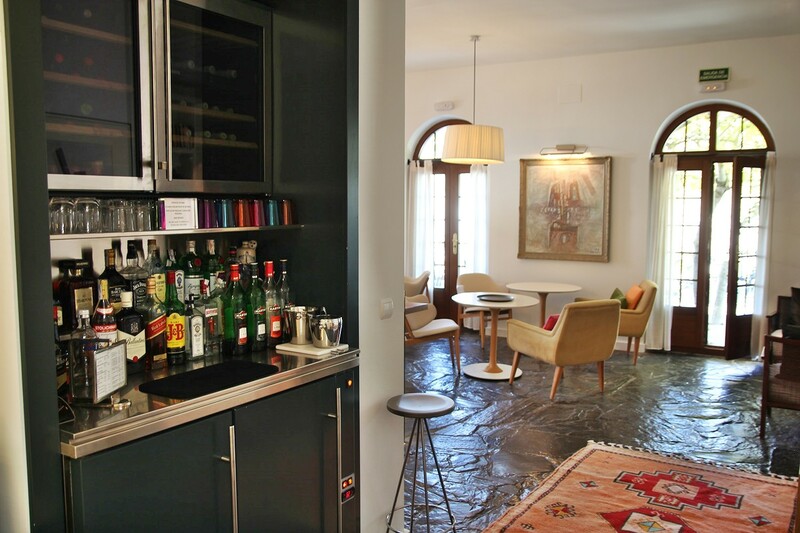 The hotel has a large communal living room with fireplace and a bar/restaurant with terrace, an outdoor pool, WiFi, and garden areas. 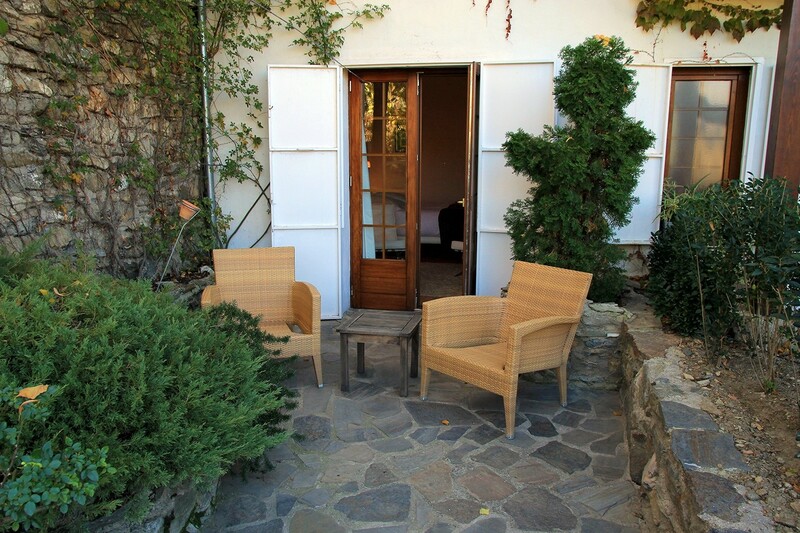 On your arrival the hotel is offering tea and coffee, water, juices and pastries. 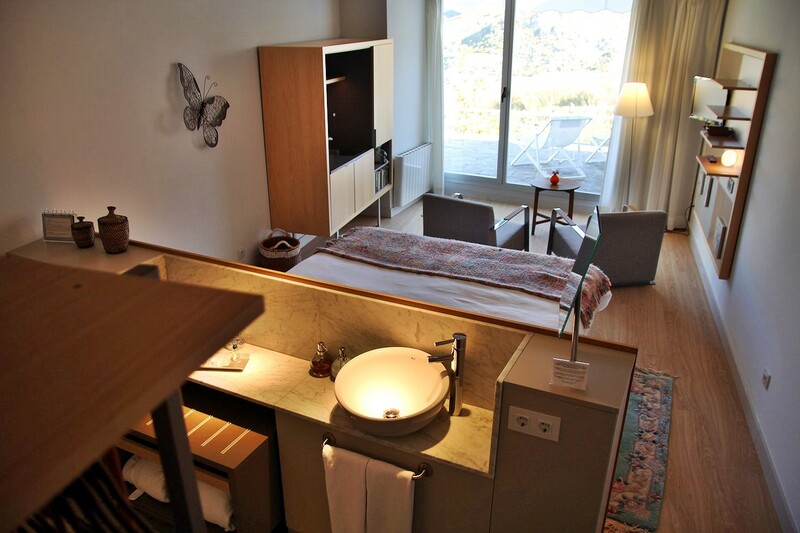 Sleeping in a nice modern room with views. 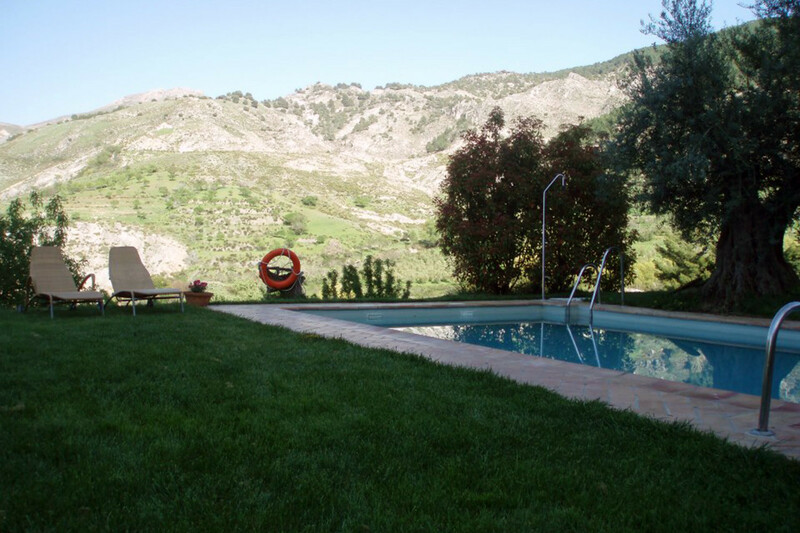 A swimming pool with views in a quiet environment. 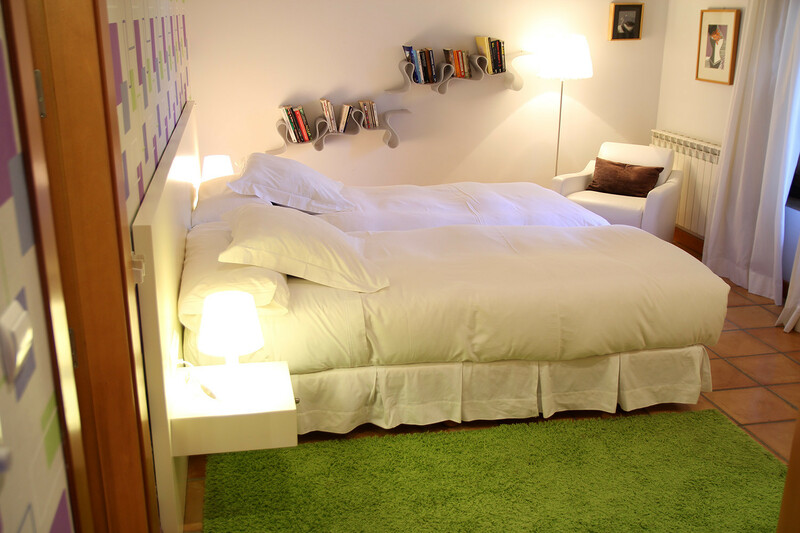 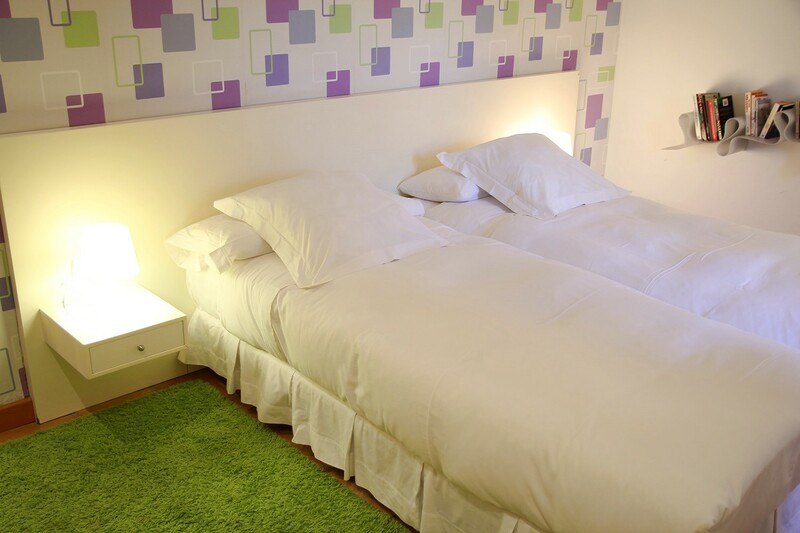 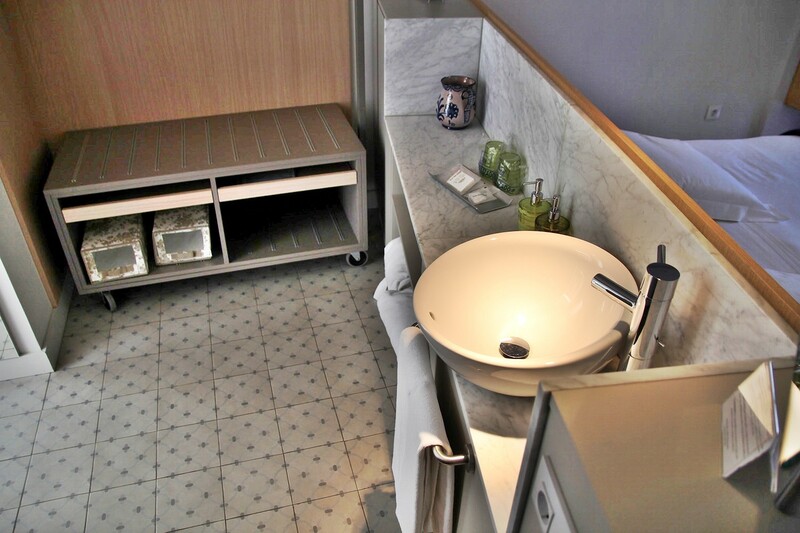 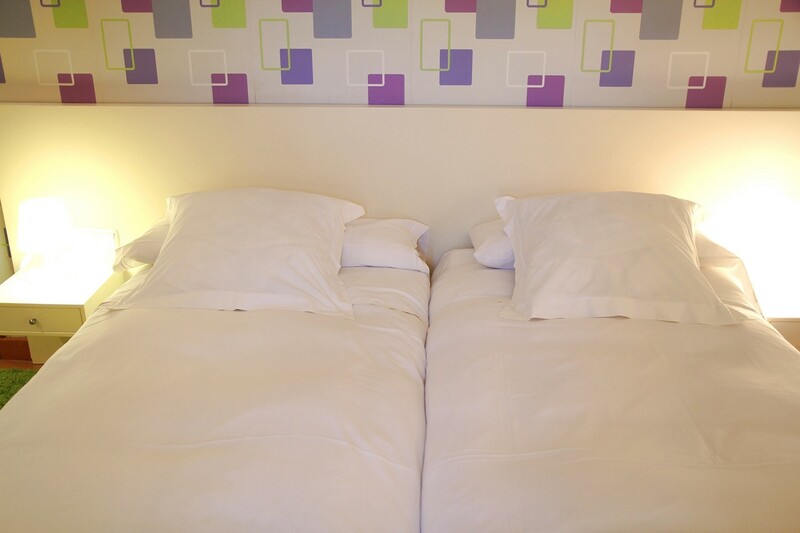 The Standard Double Room (20m2) has all amenities that travelers need. 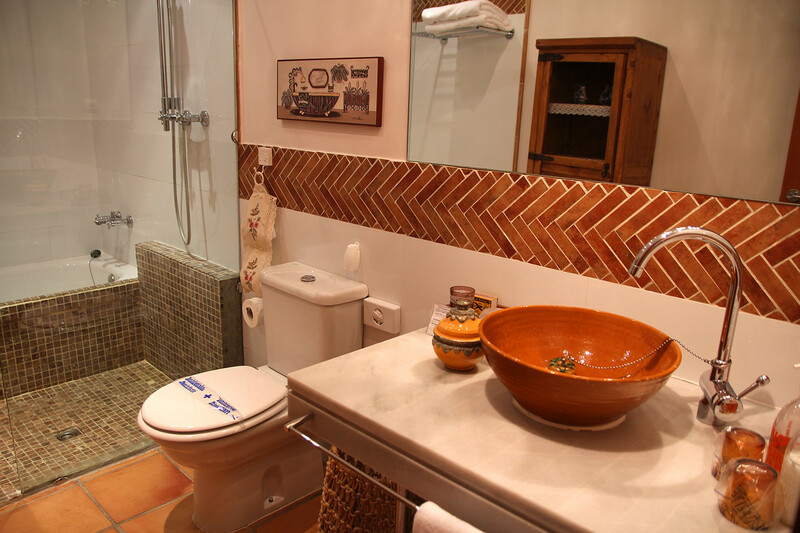 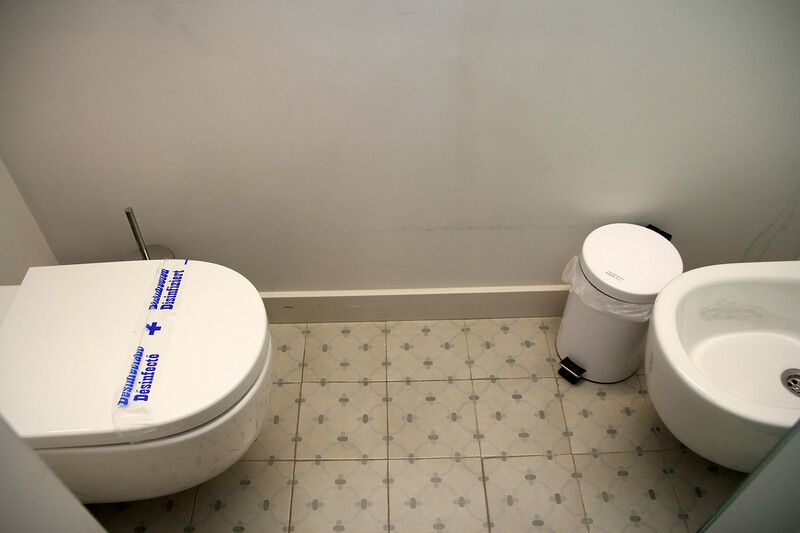 The details and decoration are the main features. 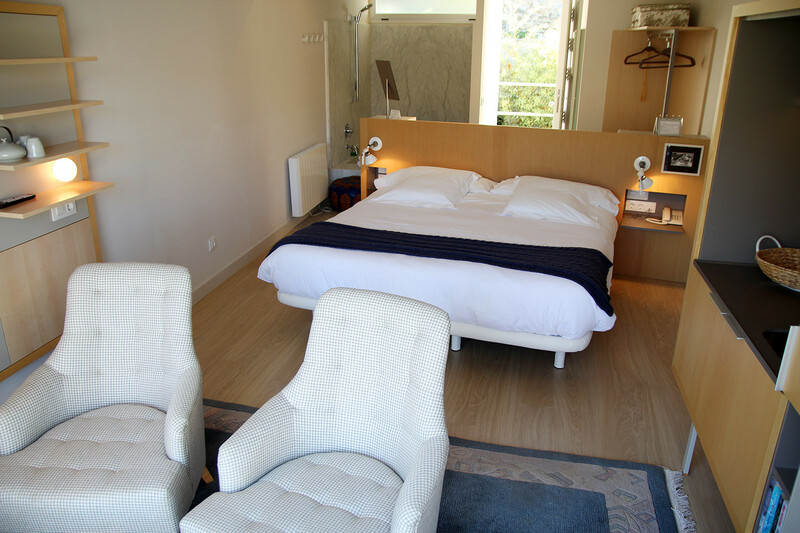 The standard rooms have a window or a balcony. 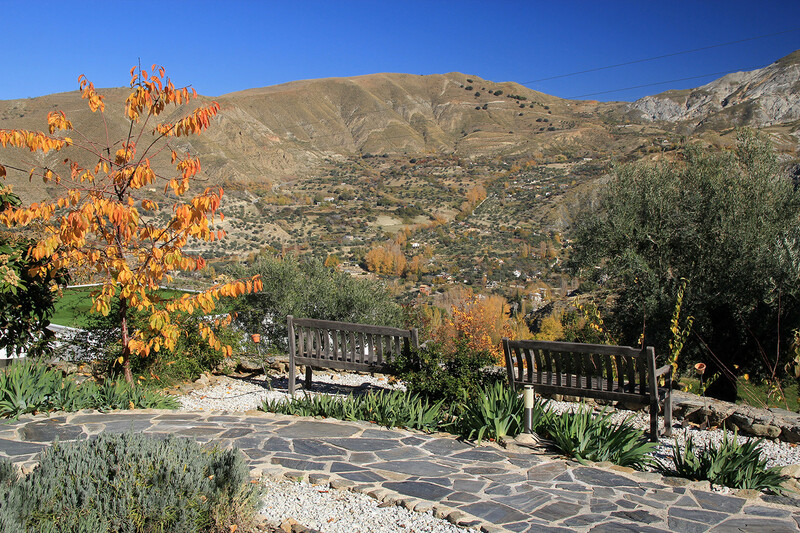 All offer views to the mountains of the Natural Park Sierra Nevada. 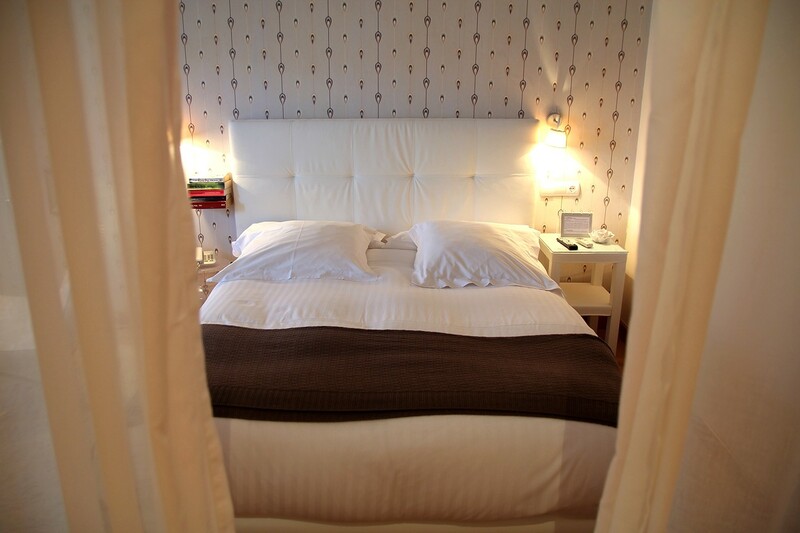 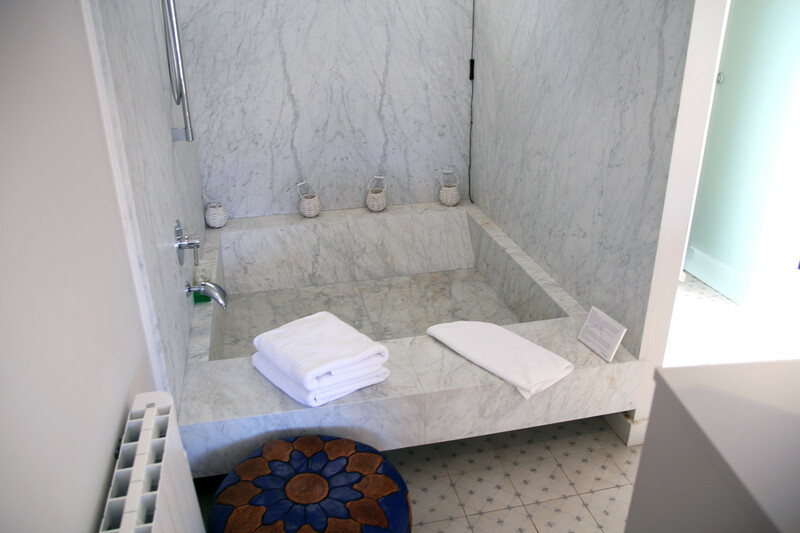 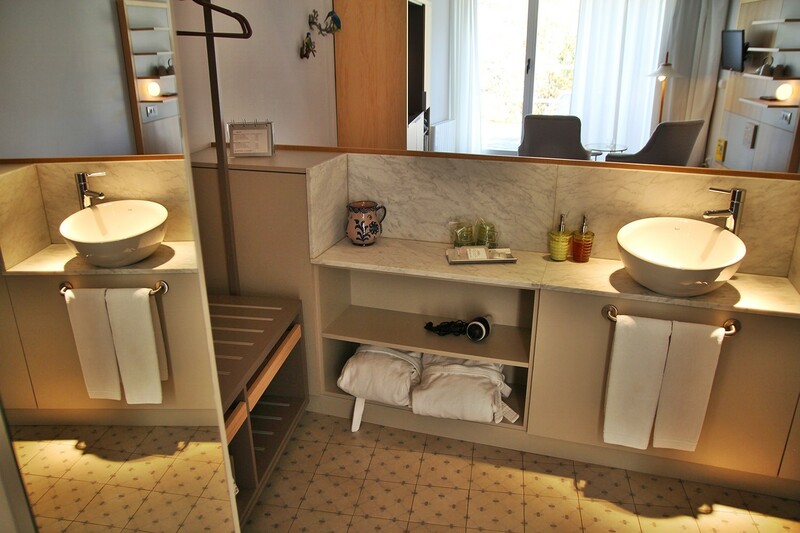 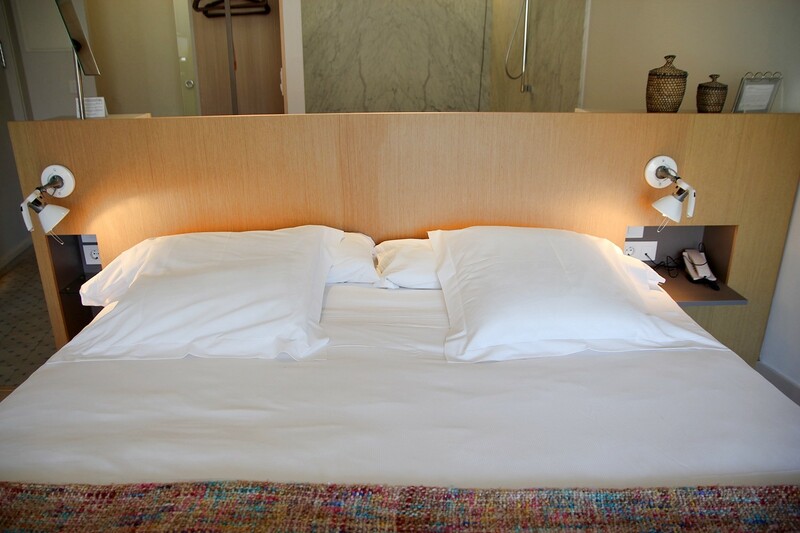 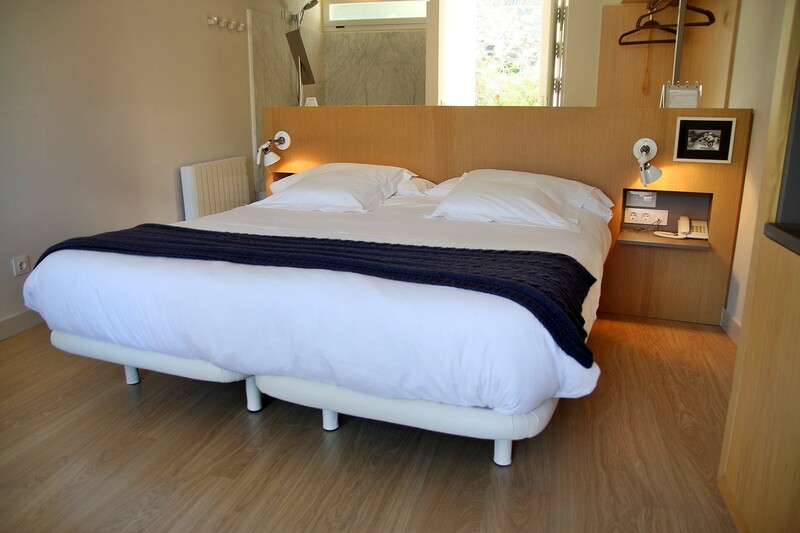 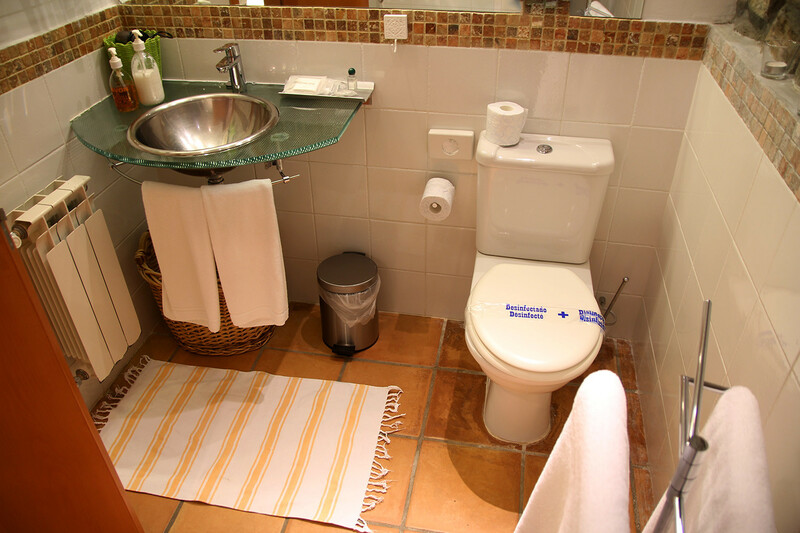 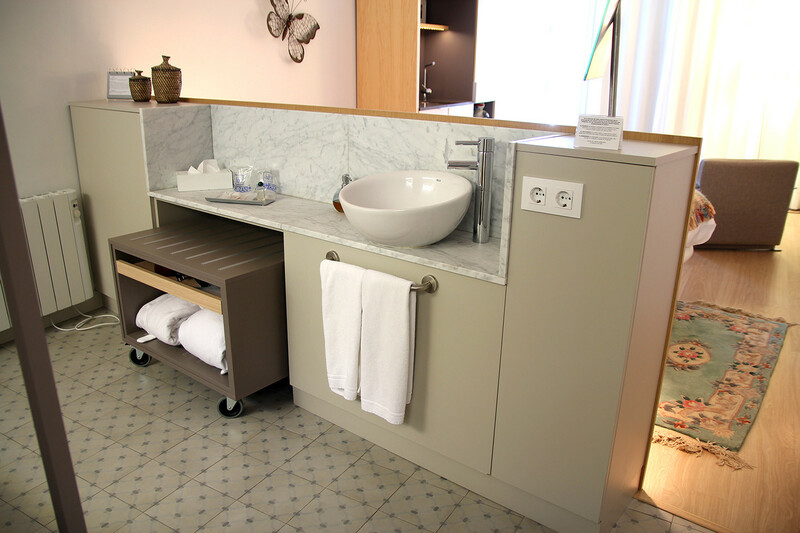 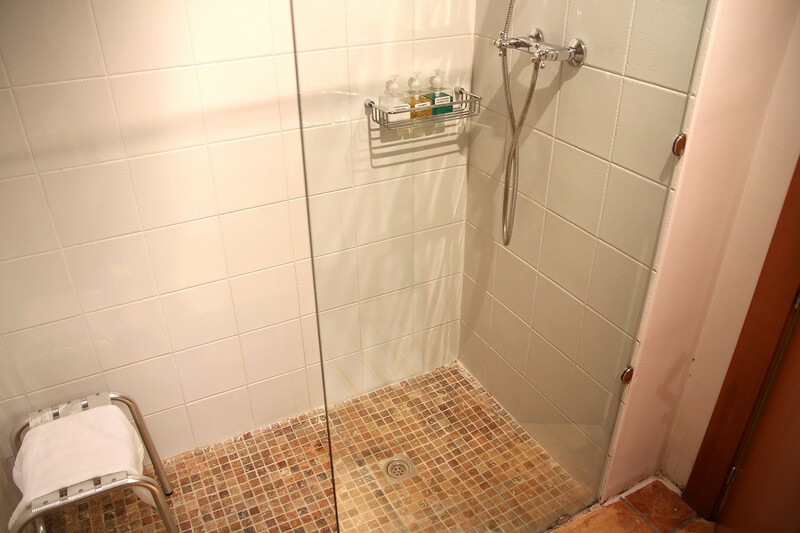 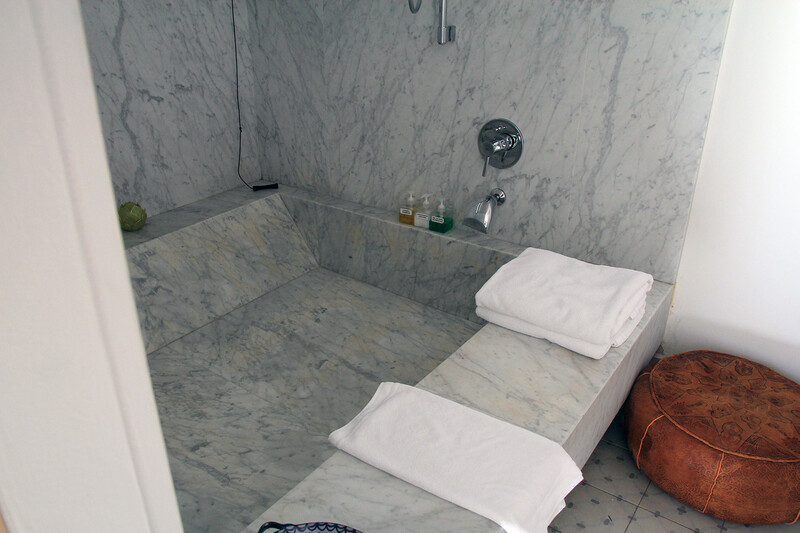 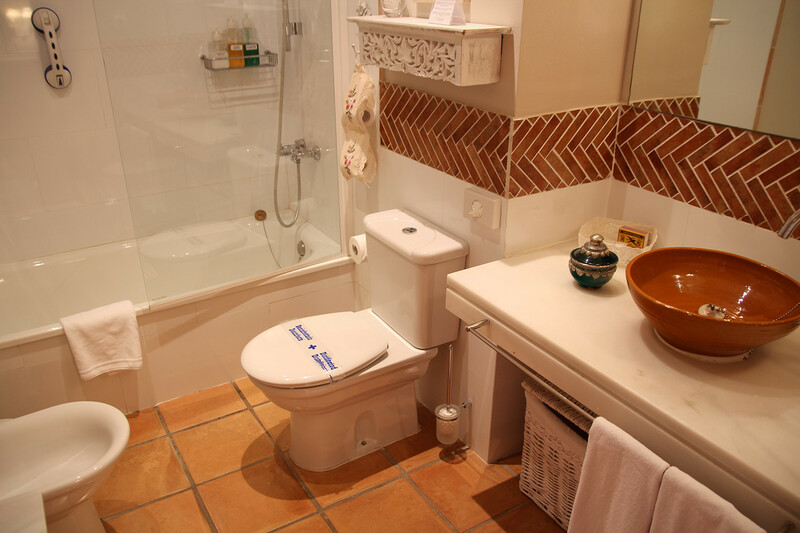 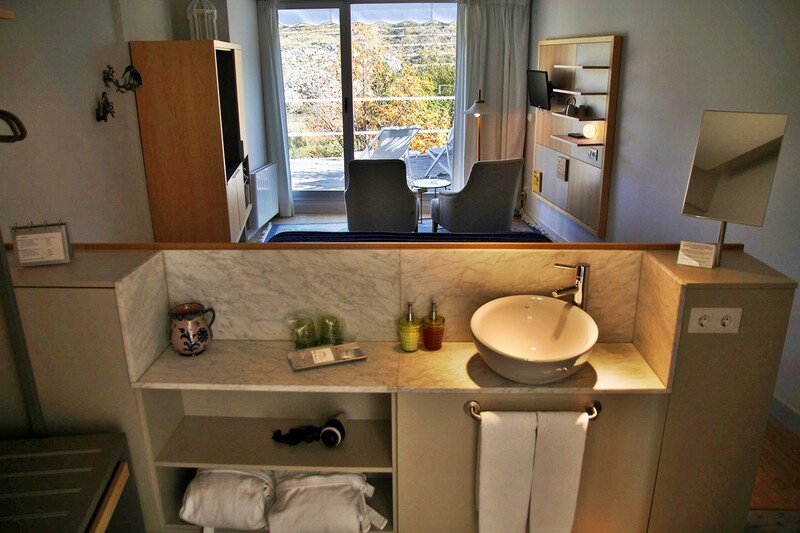 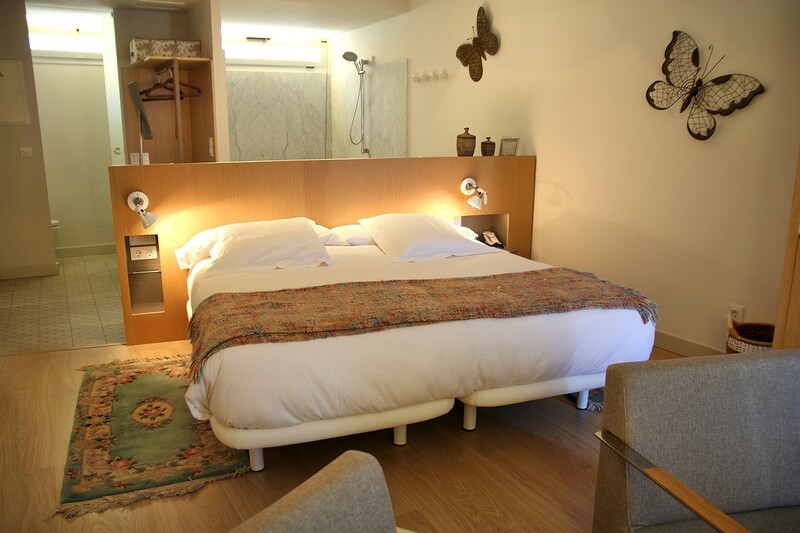 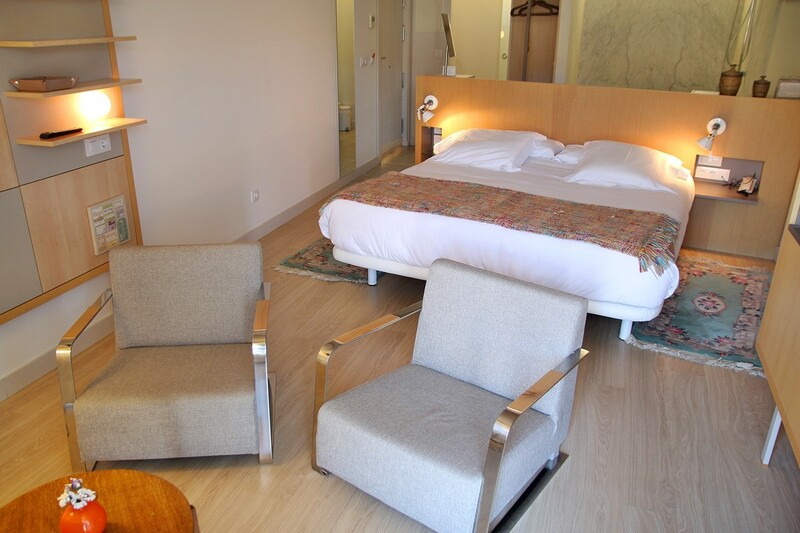 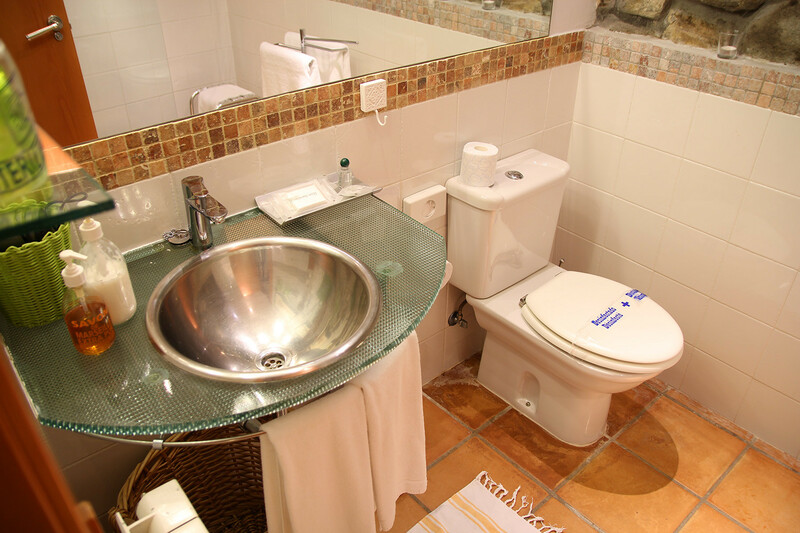 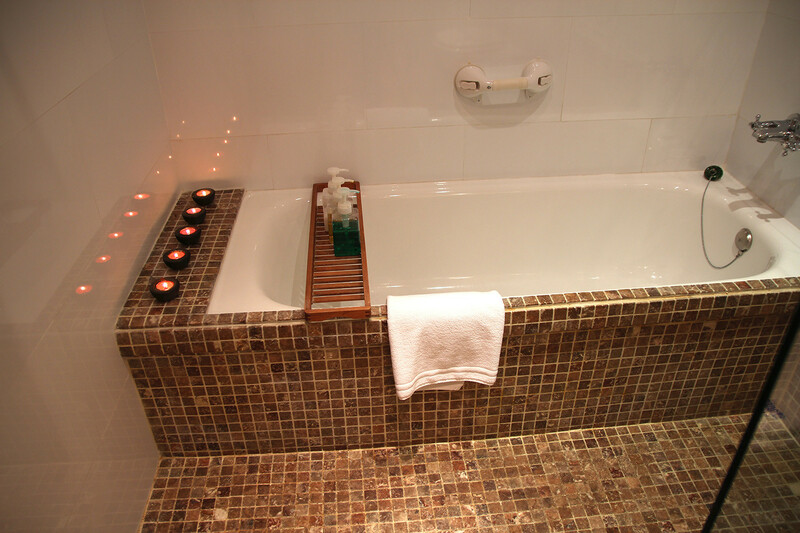 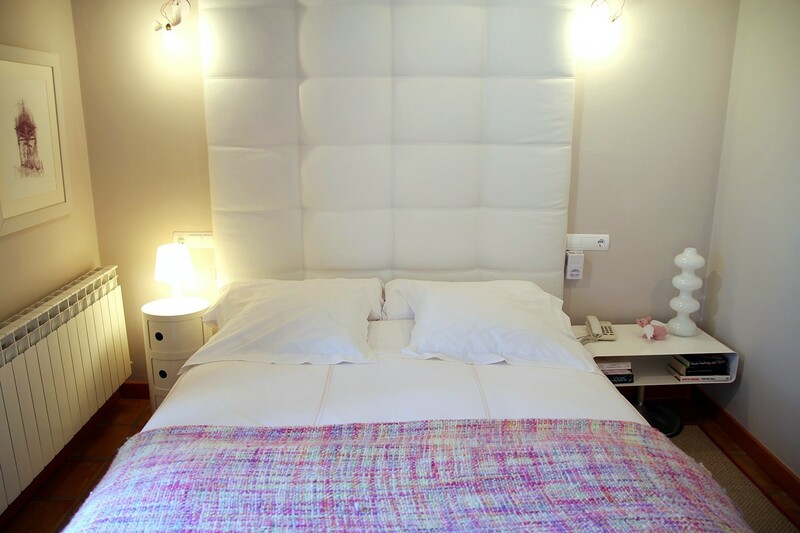 The rooms have linen premium cotton, air conditioning, central heating and a private bathroom with toiletries. 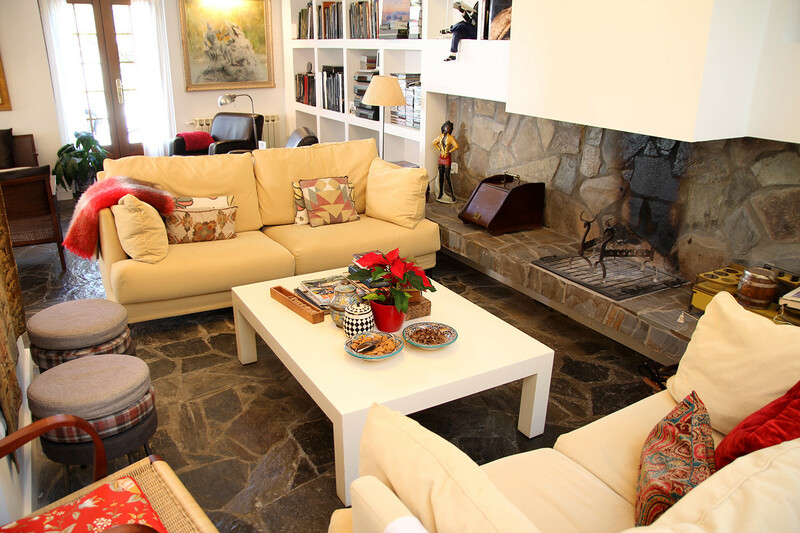 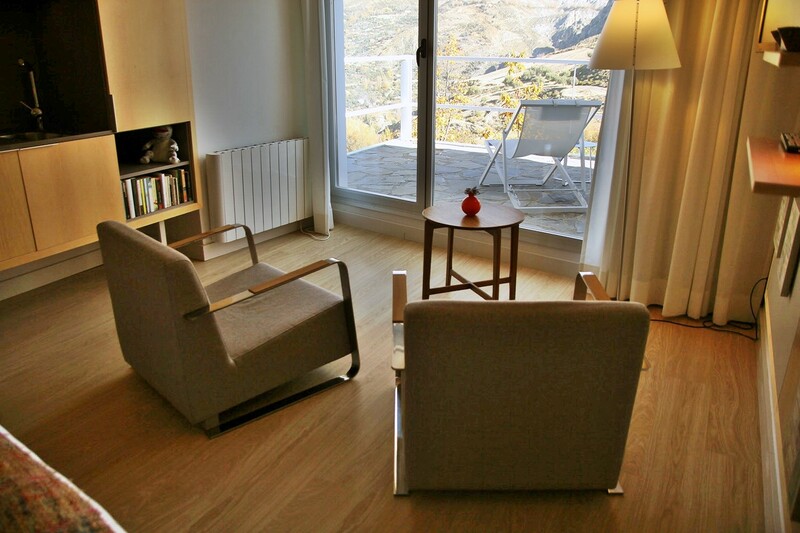 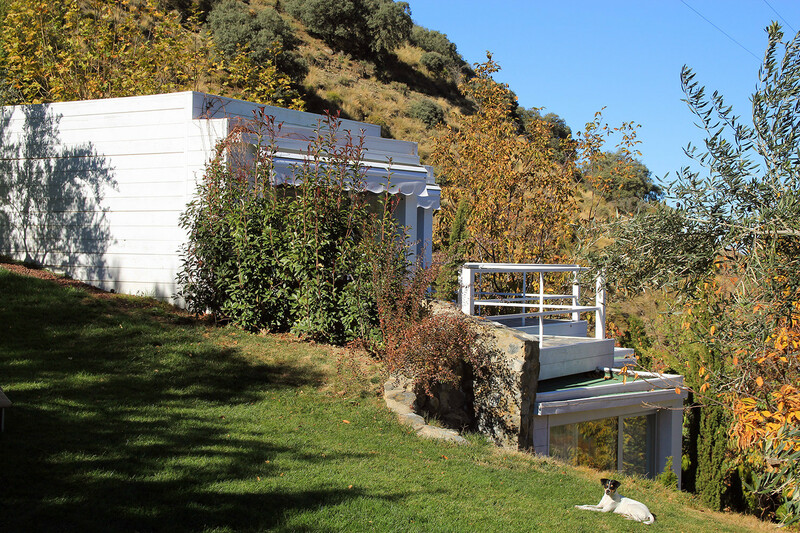 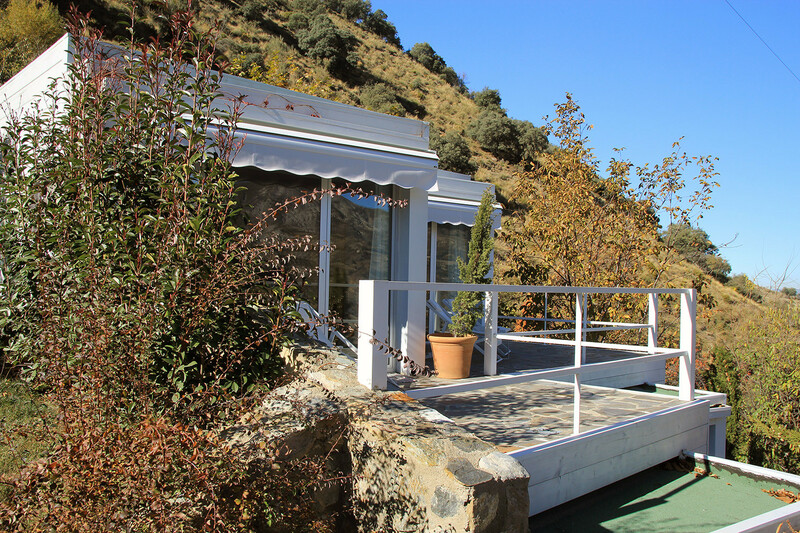 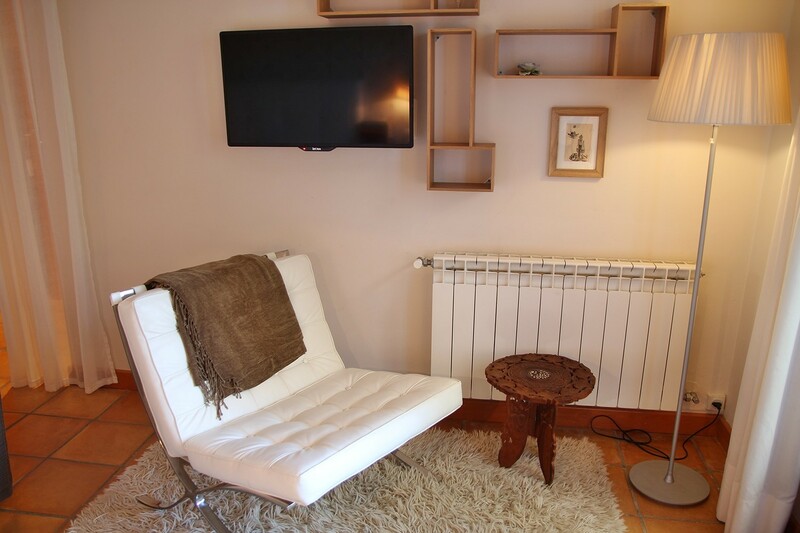 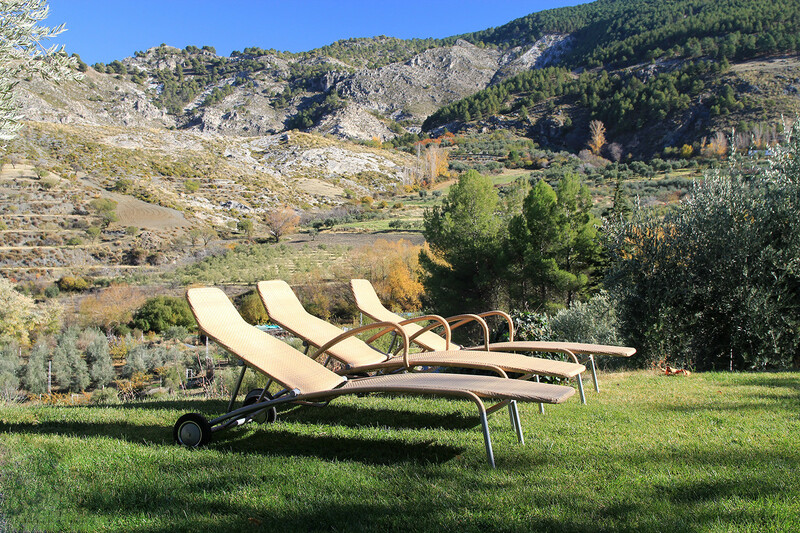 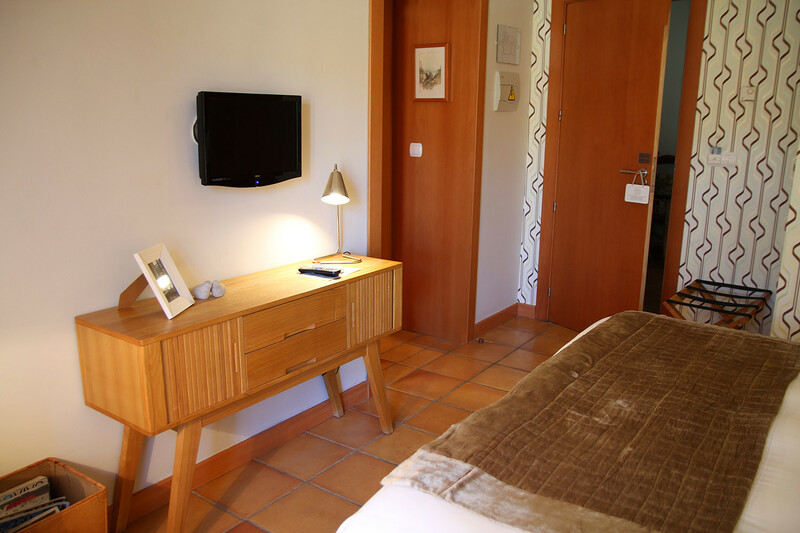 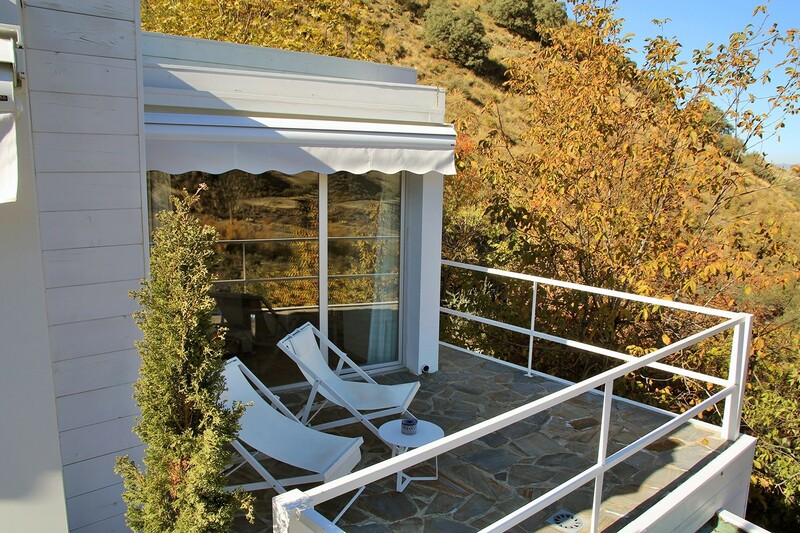 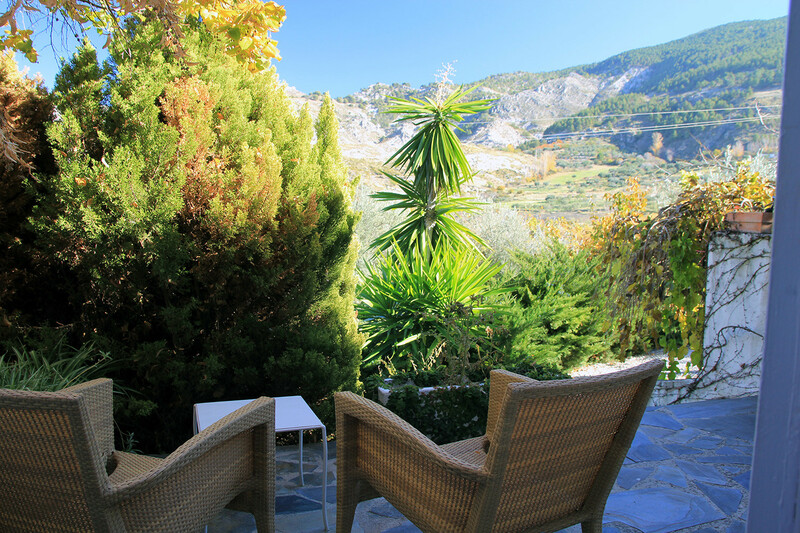 The Double Room (20m2) has a private terrace or porch with direct access to the garden, where travelers can delight with the view of the Natural Park Sierra Nevada. 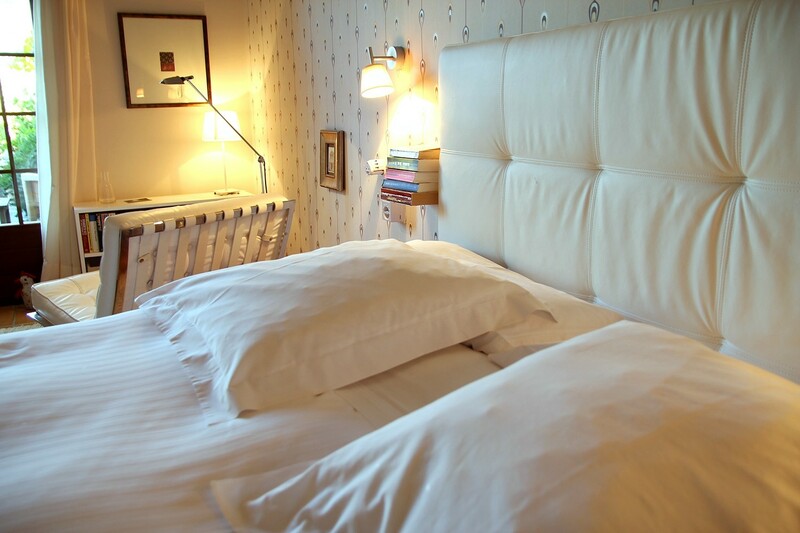 The comfort and the details of the room are their hallmark. 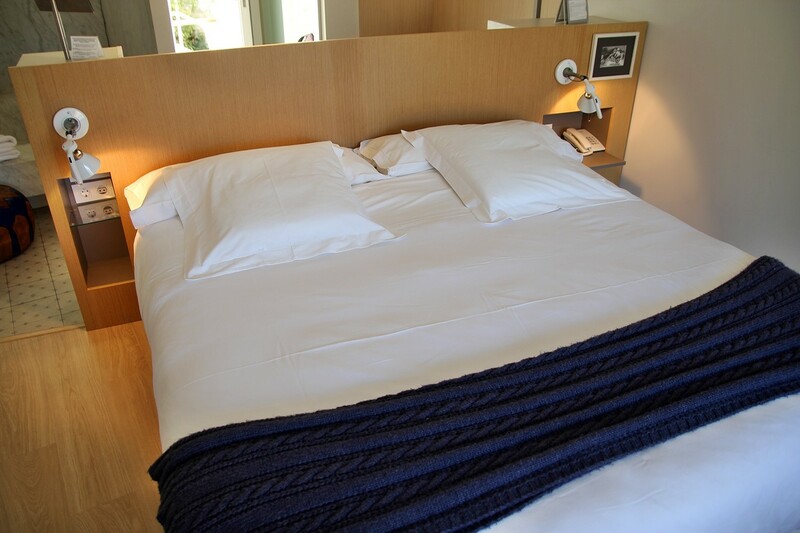 It features fine cotton bed linen, air conditioning and central heating and a private bathroom with a range of toiletries. 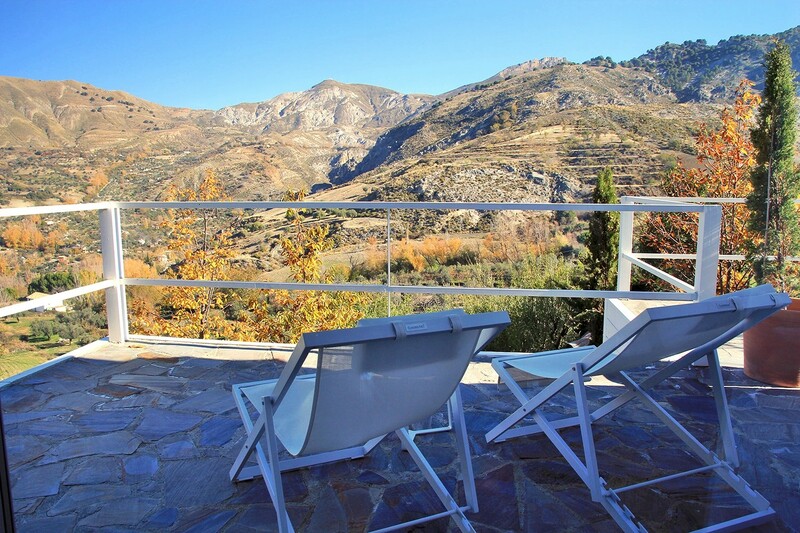 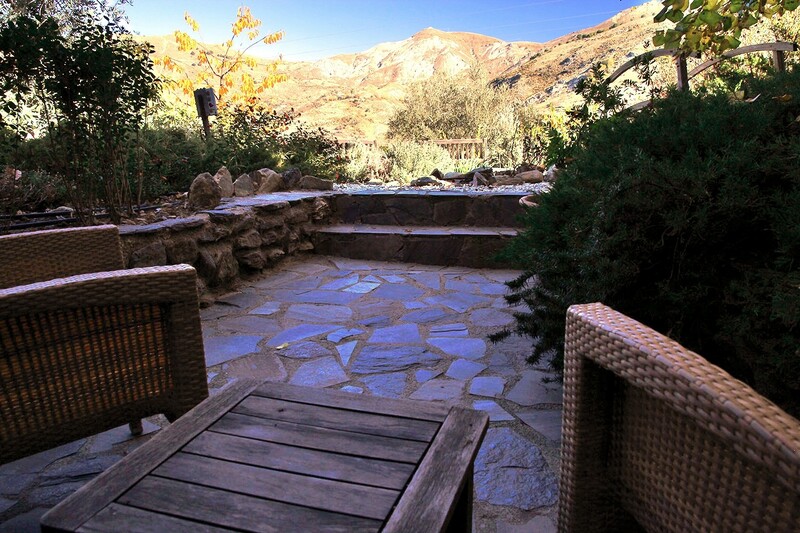 In front of the house is a small terrace with specactular views on the Nationall Park Sierra Nevada. 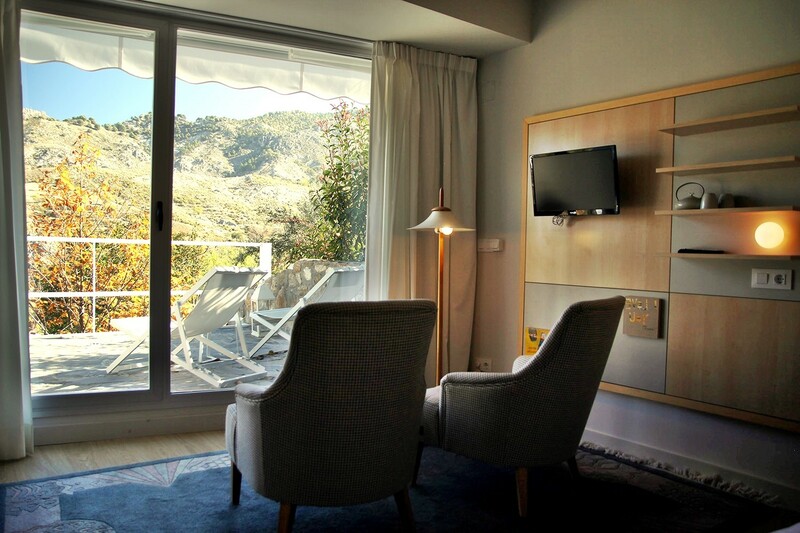 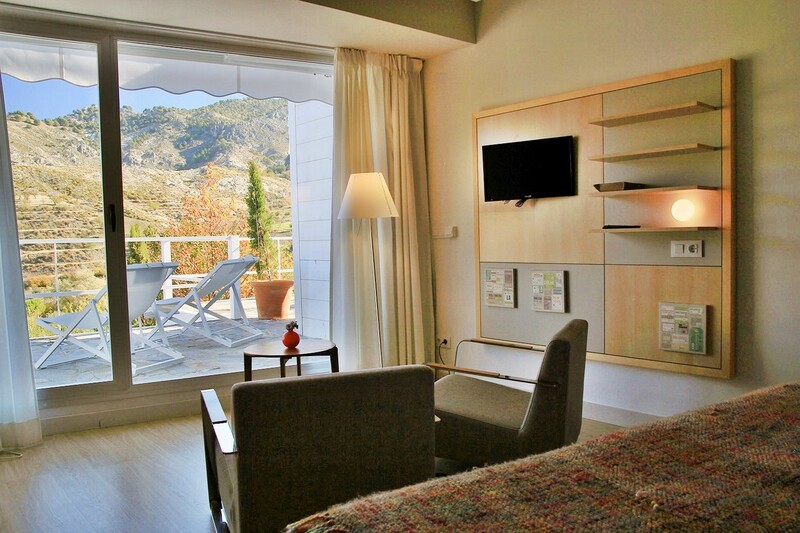 The Superior Room (25m2) has a private terrace or veranda with direct access to the garden where travelers can delight with the view of the Natural Park Sierra Nevada. 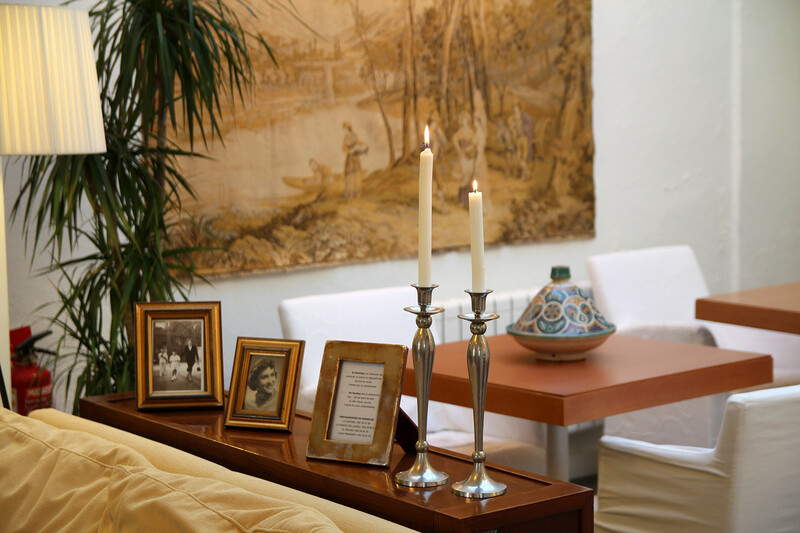 The comfort and the details of the room are their hallmark. 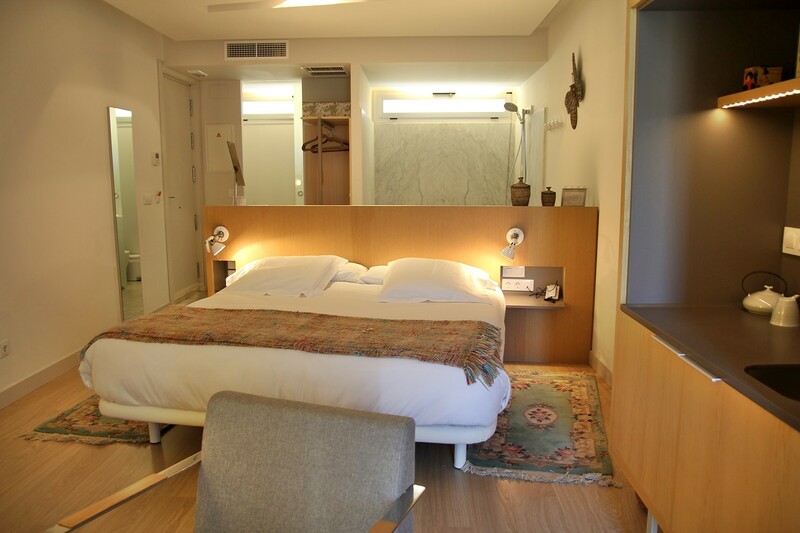 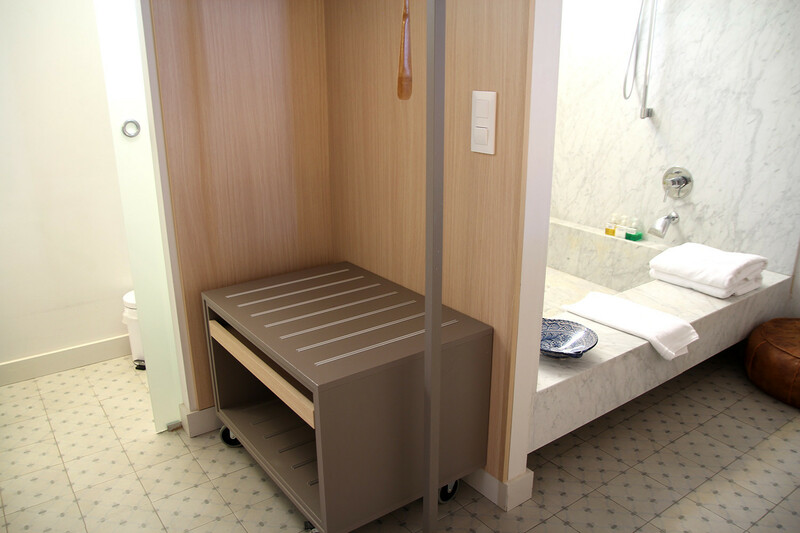 It features fine cotton bed linen, air conditioning and central heating and a private open bathroom with a range of toileteries.